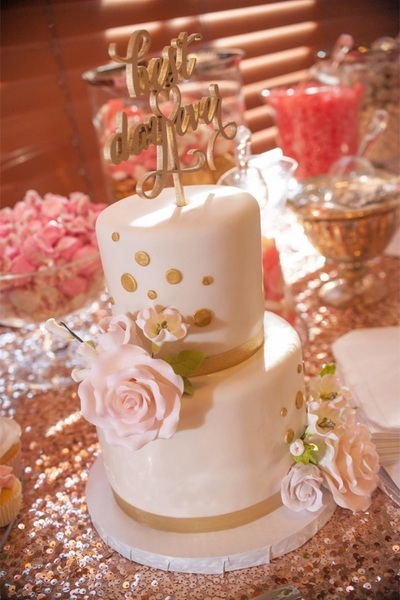 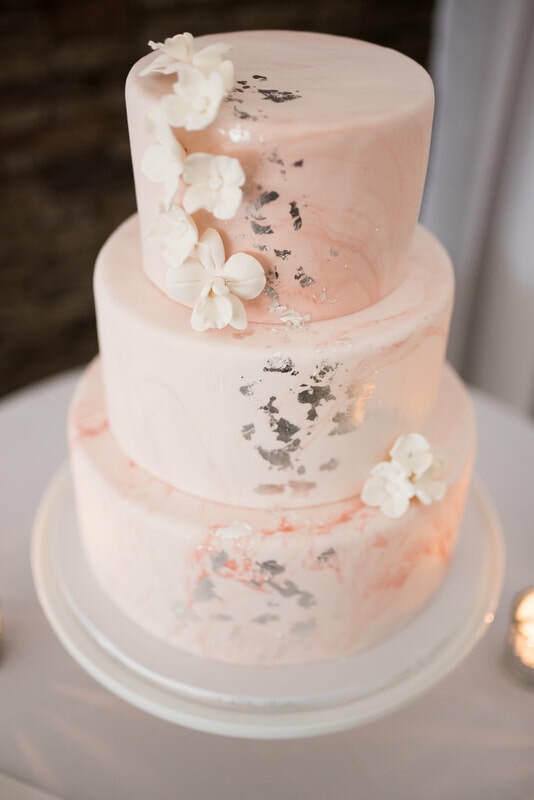 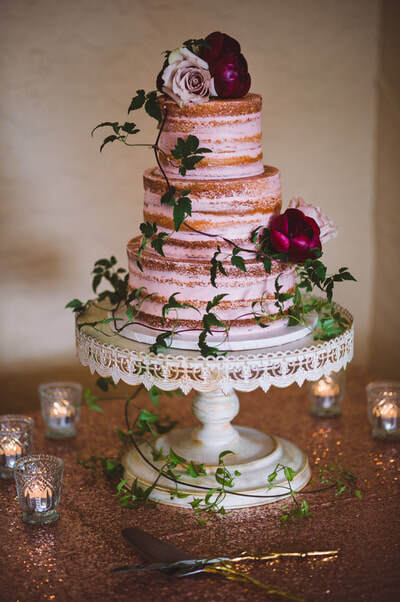 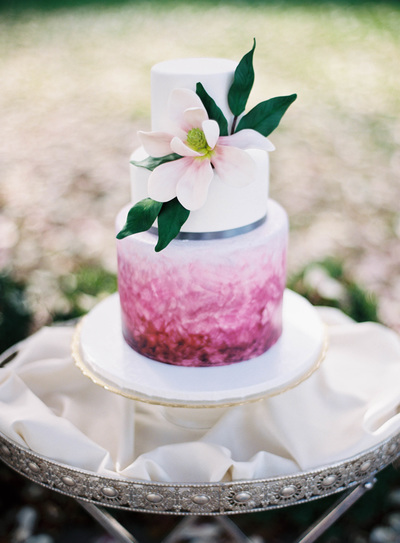 Marbled blush with edible silver leaf. 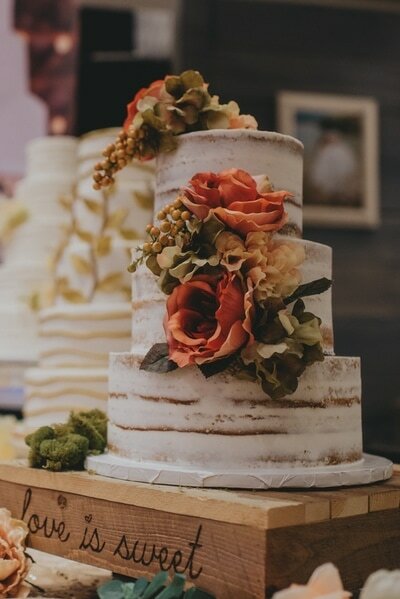 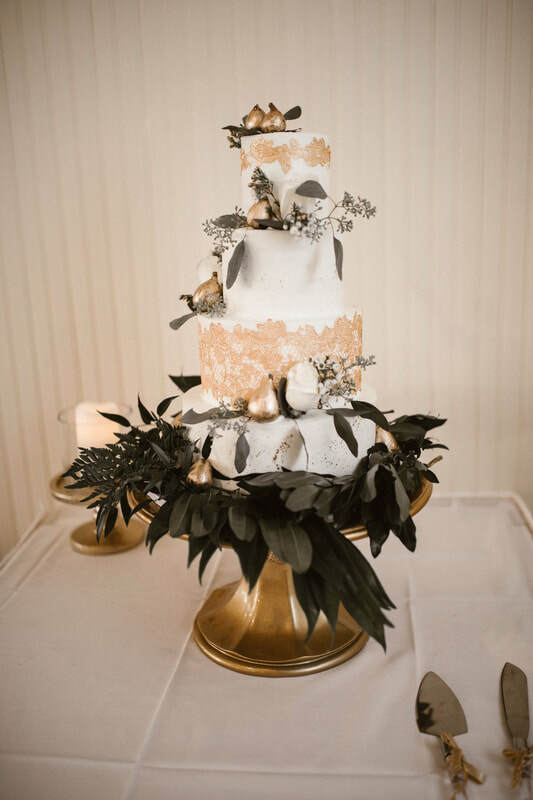 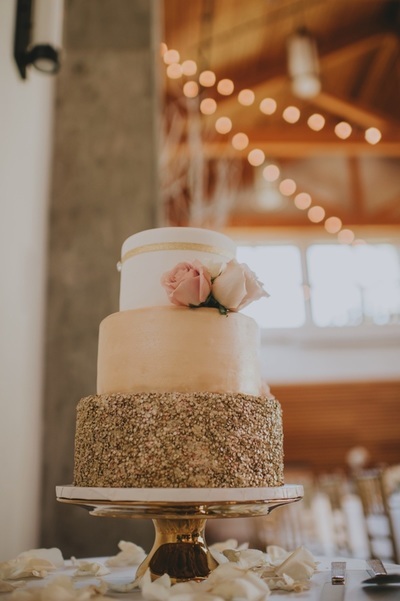 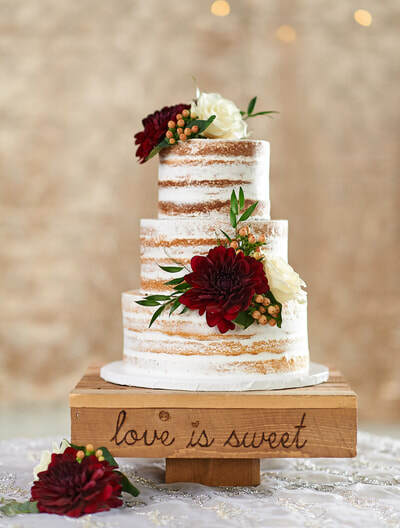 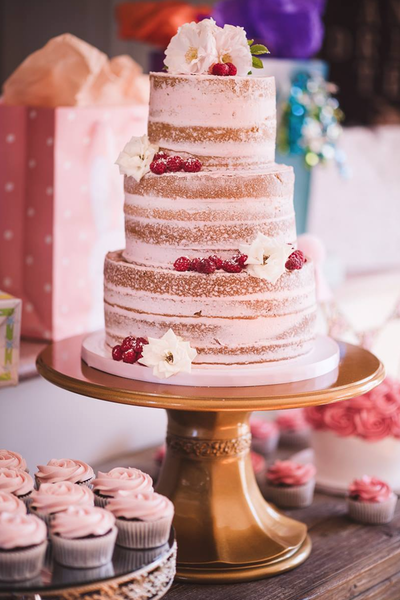 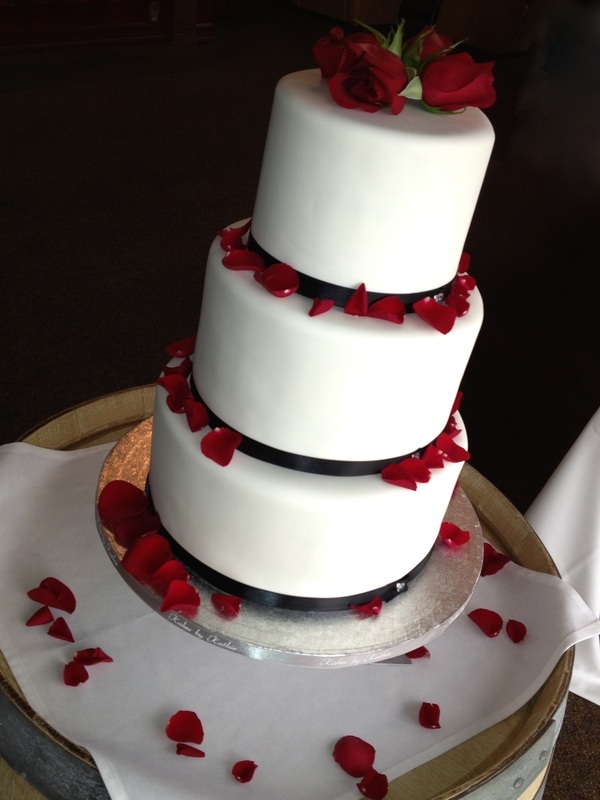 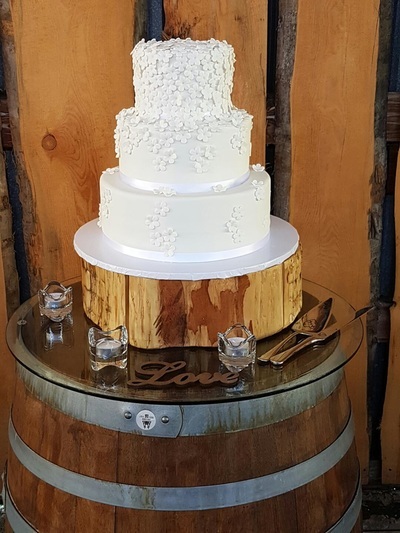 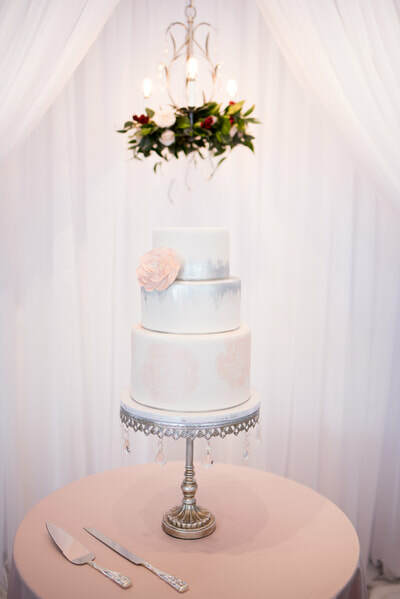 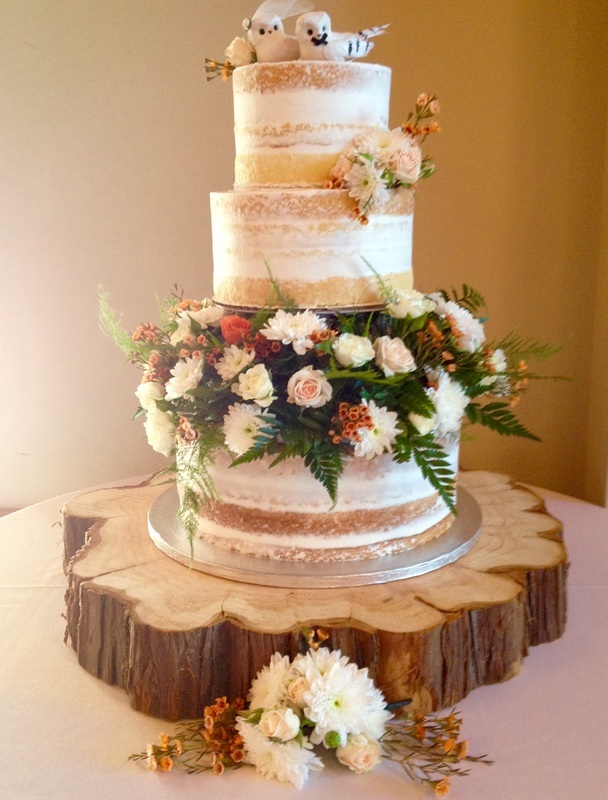 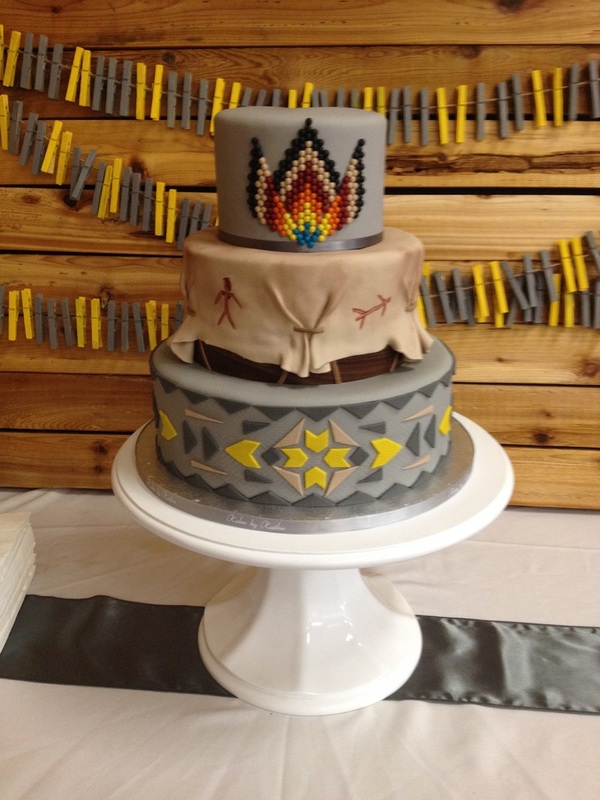 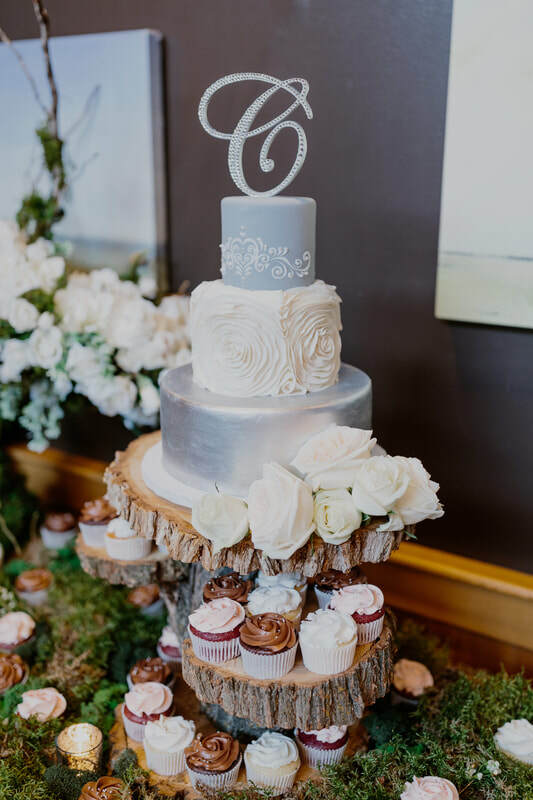 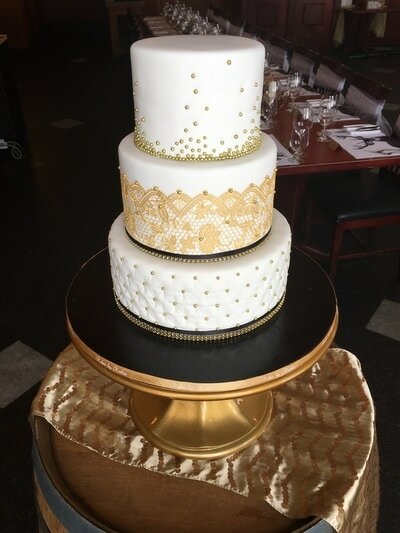 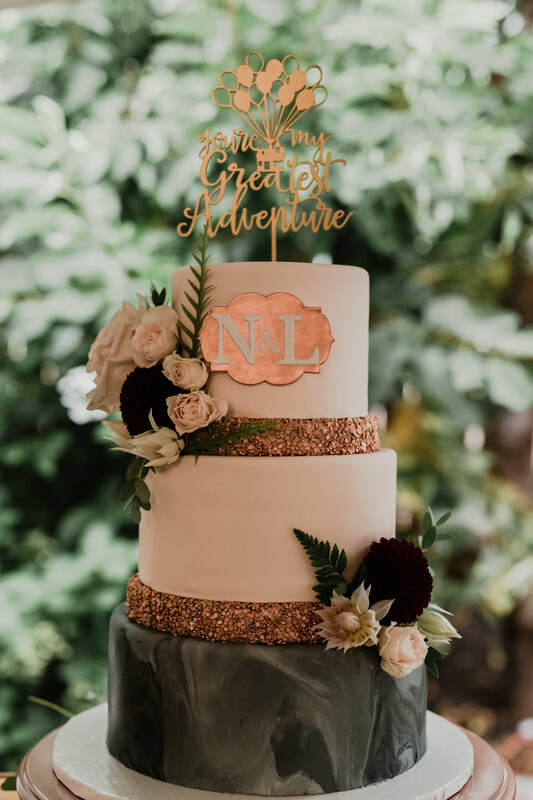 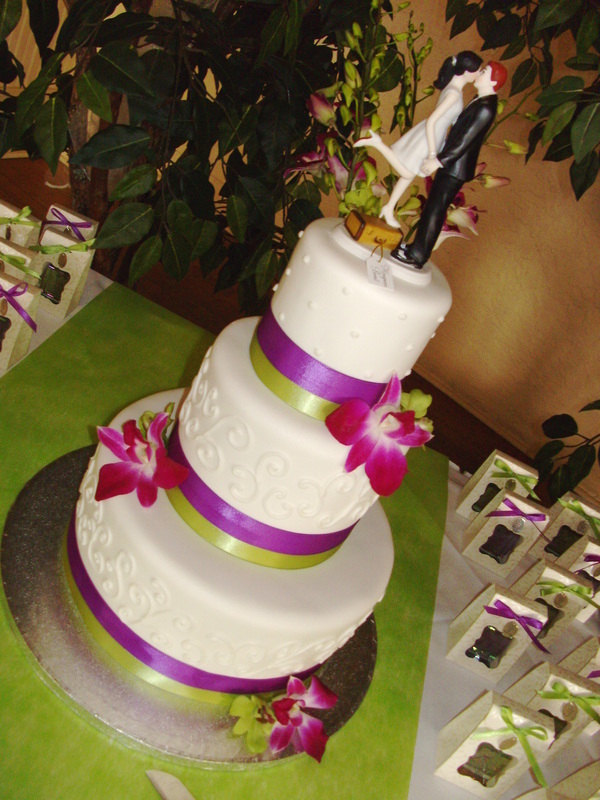 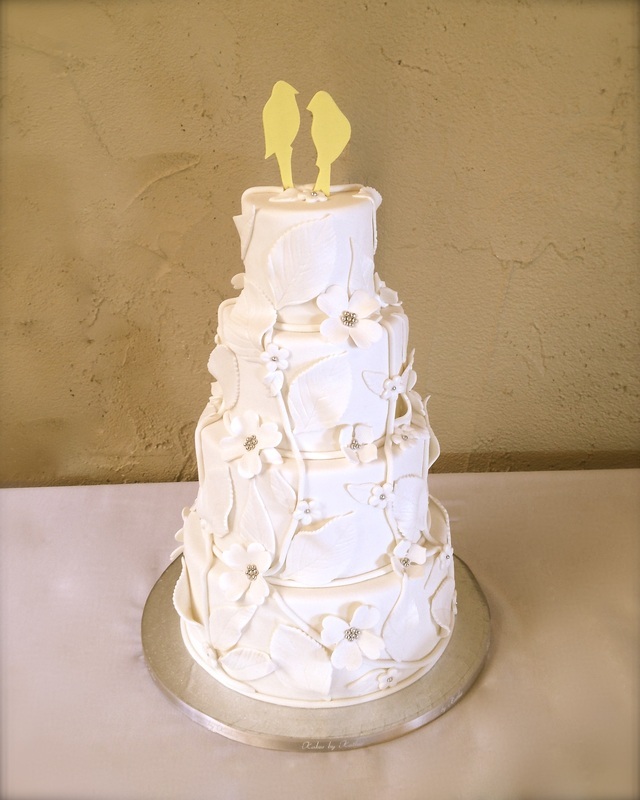 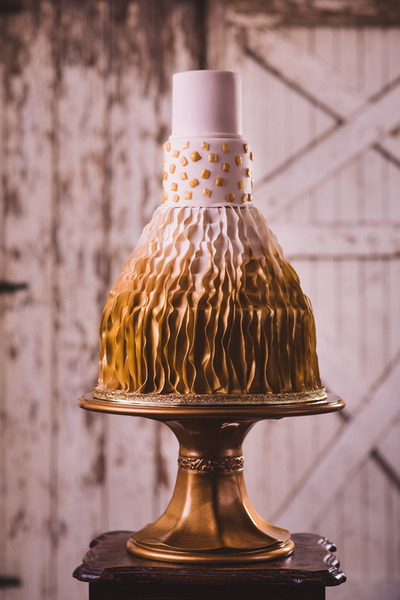 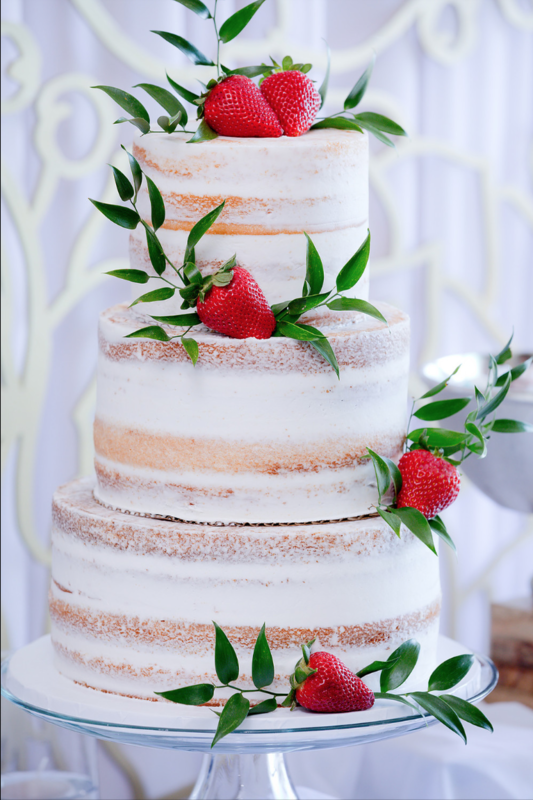 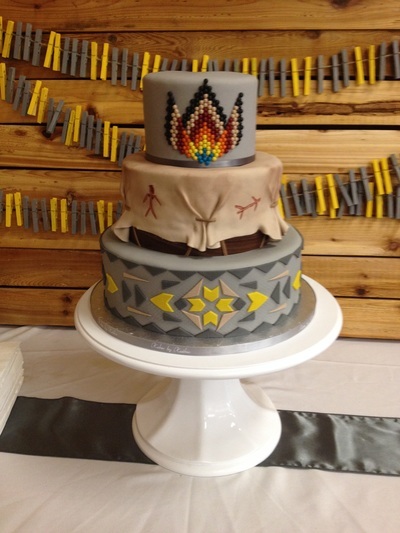 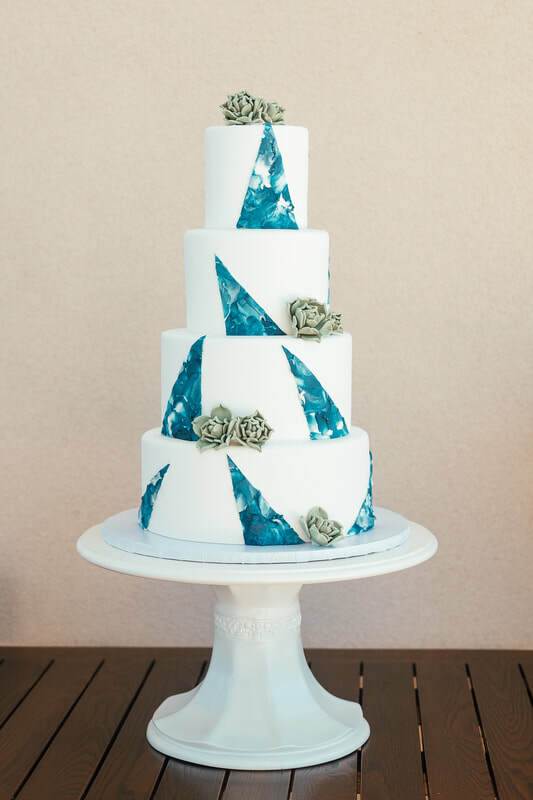 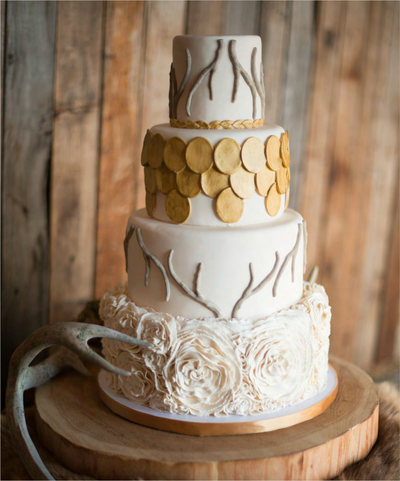 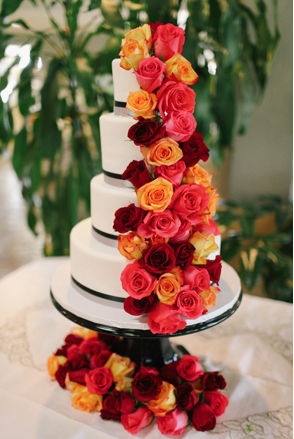 W 92 We loved creating this aboriginal inspired wedding cake. 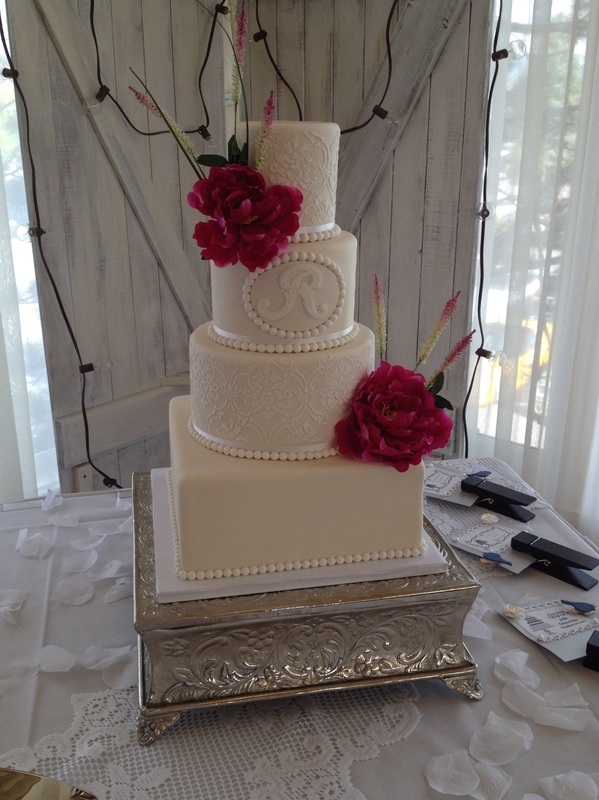 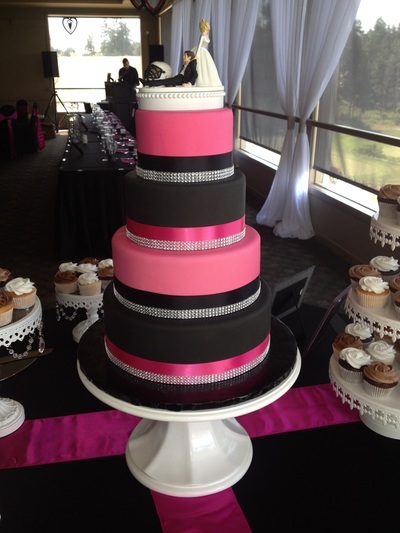 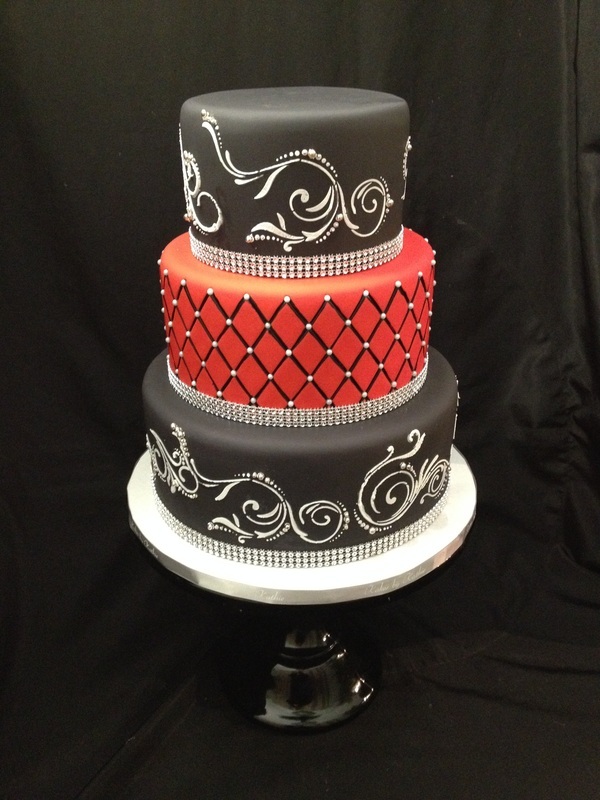 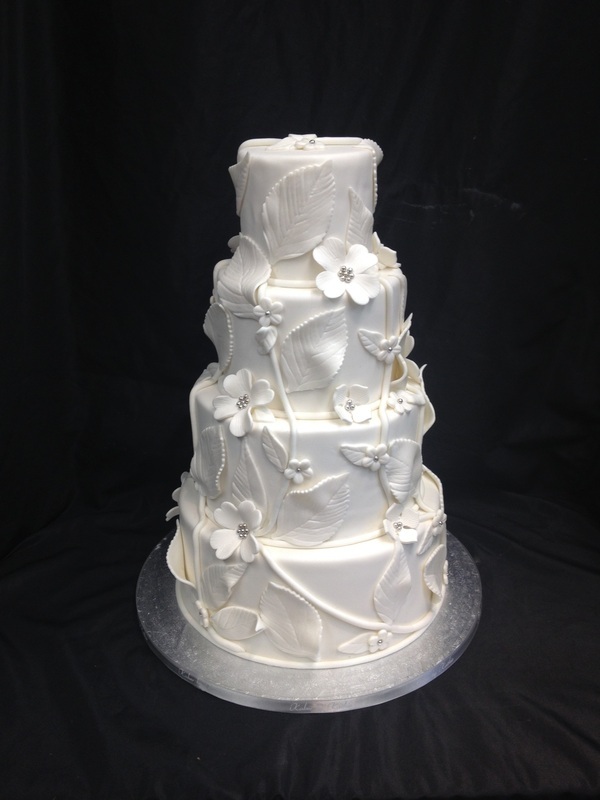 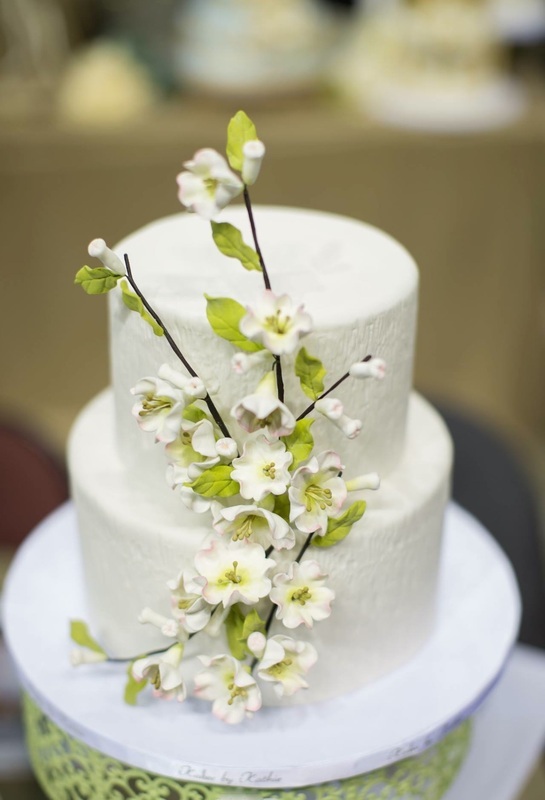 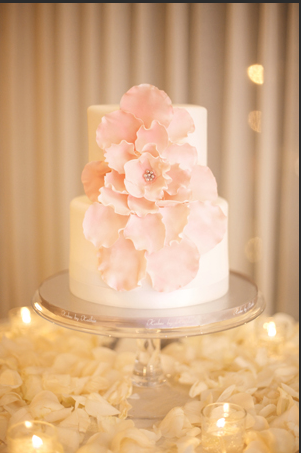 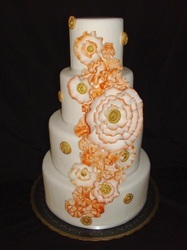 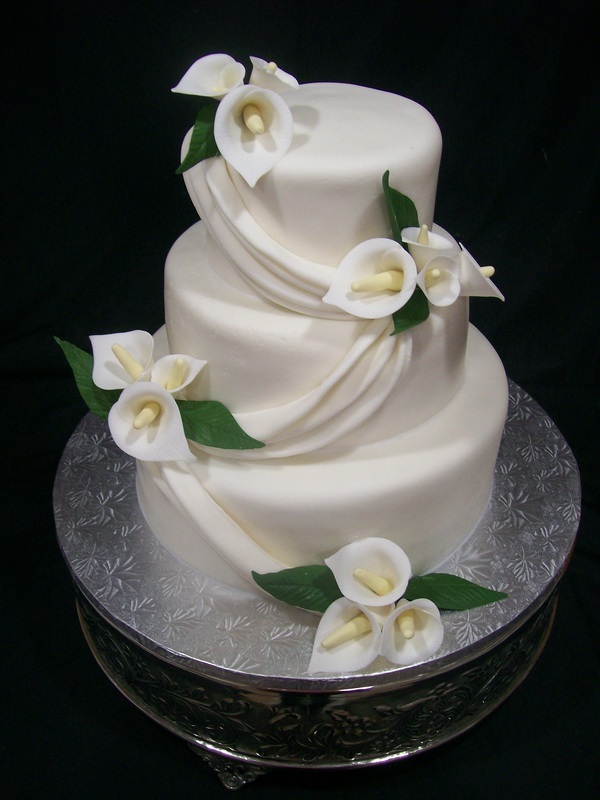 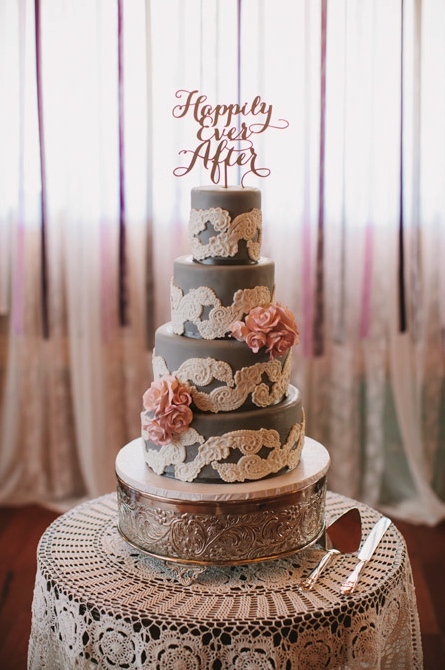 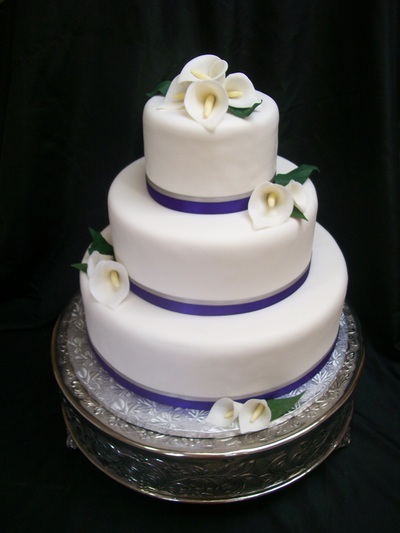 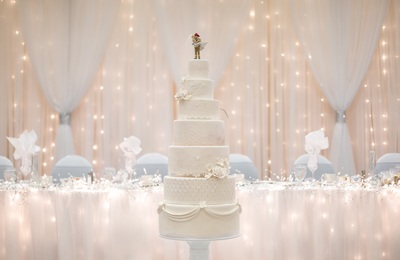 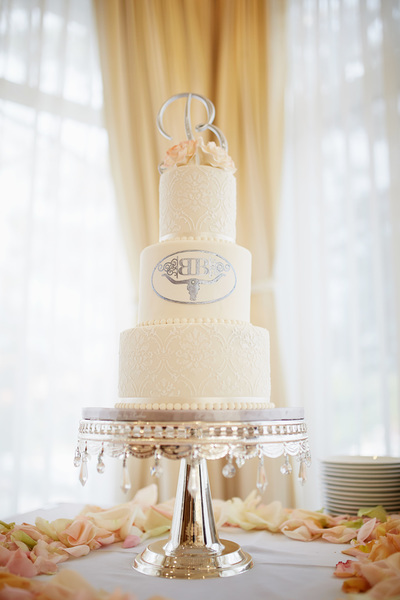 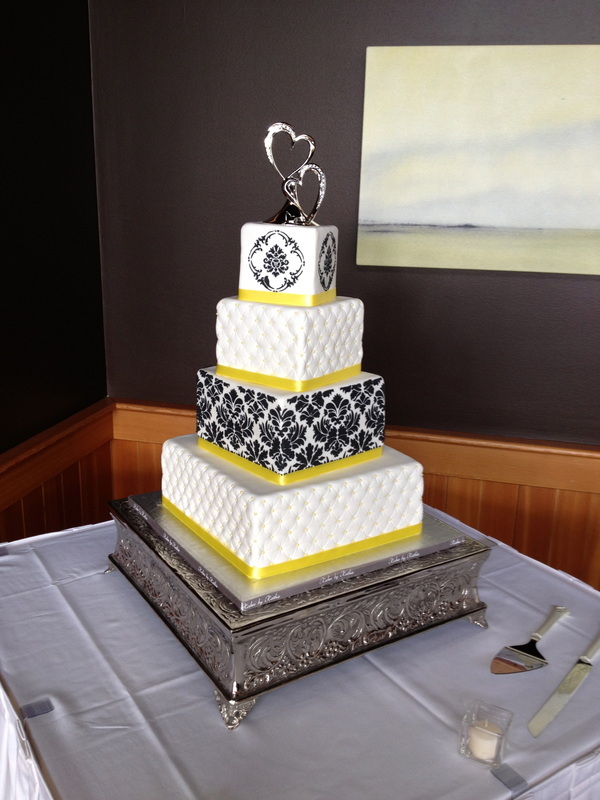 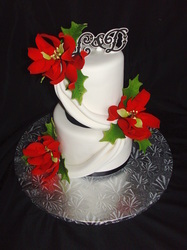 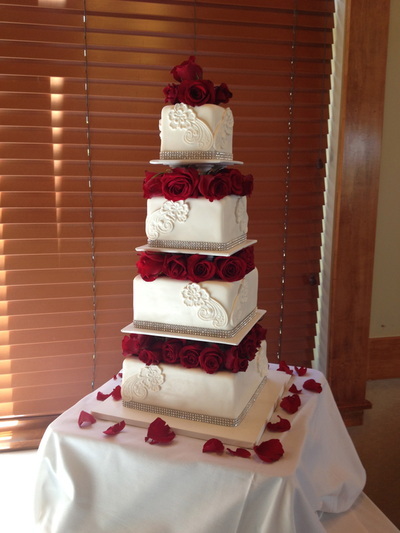 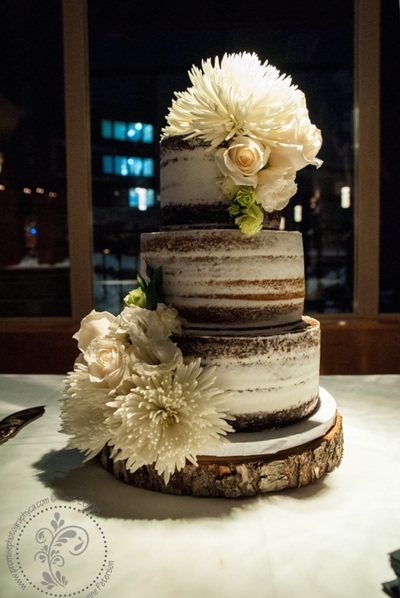 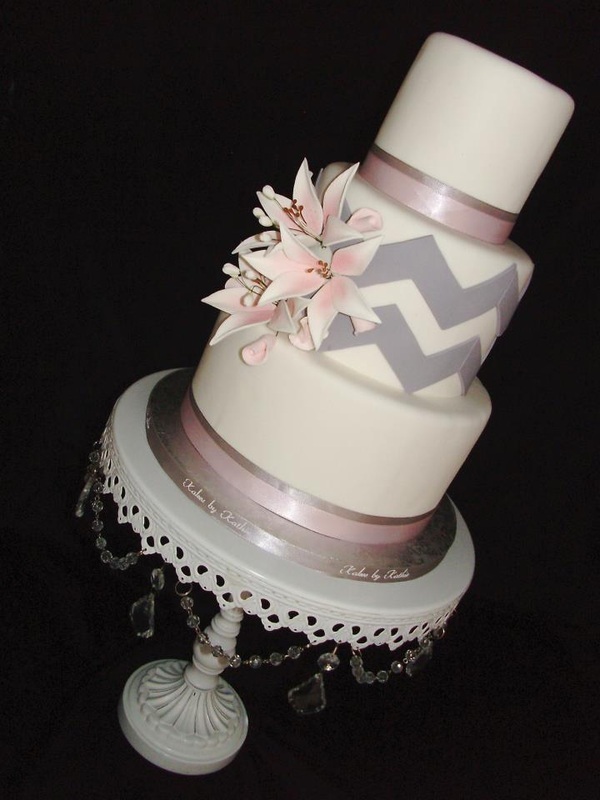 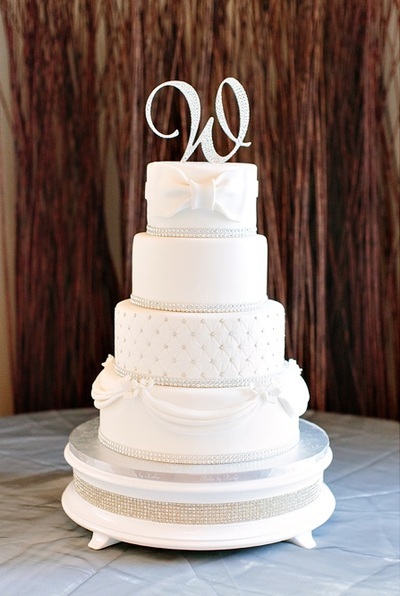 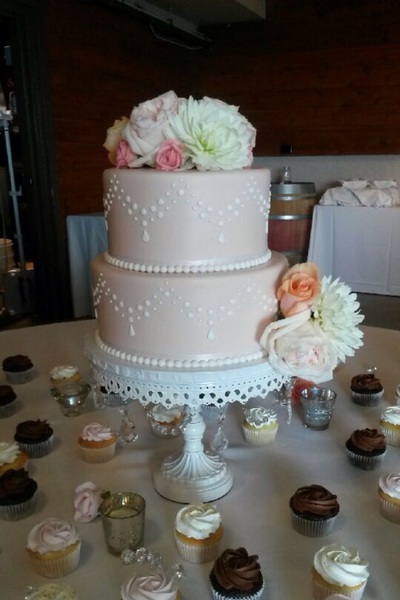 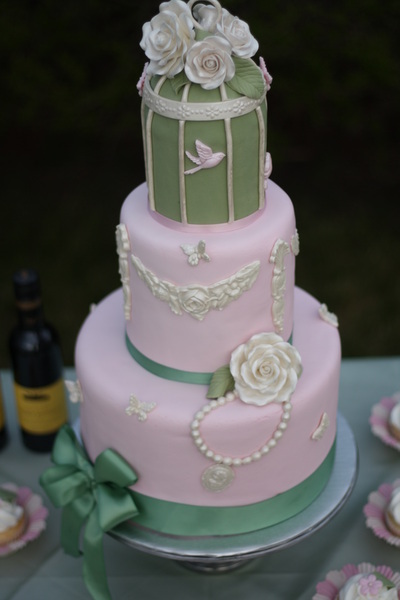 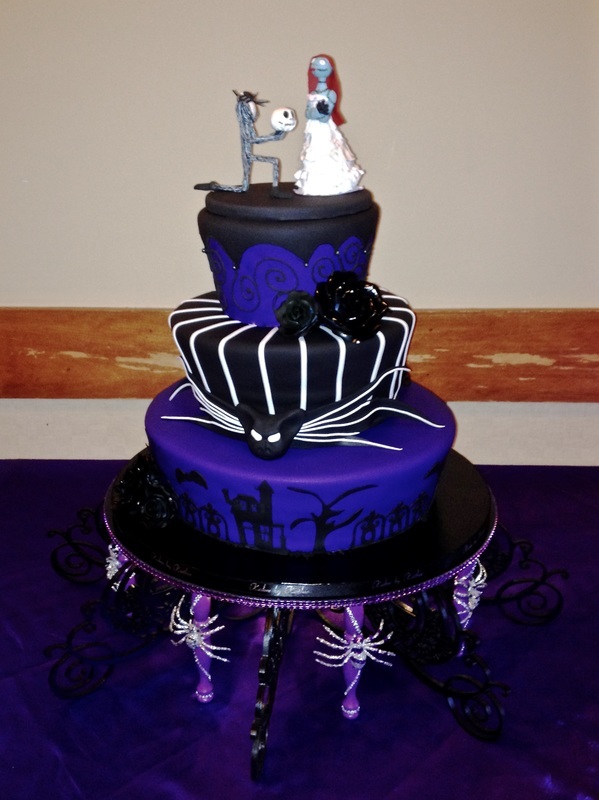 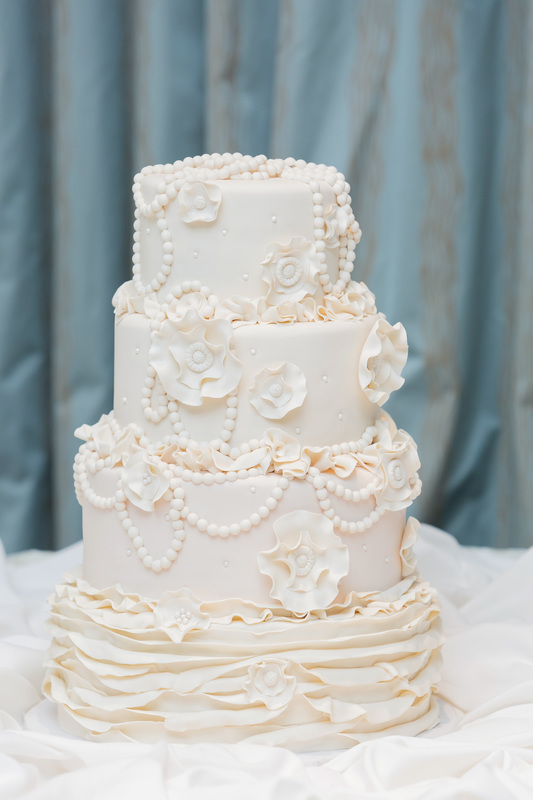 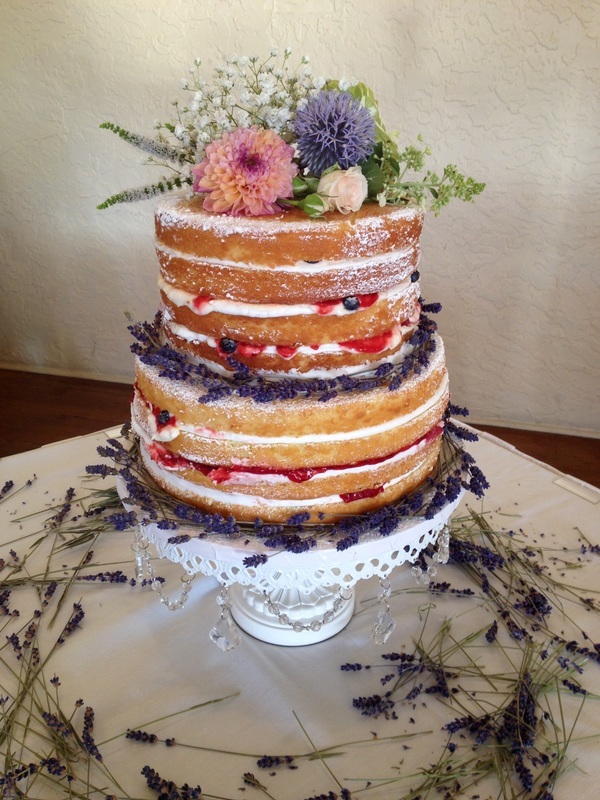 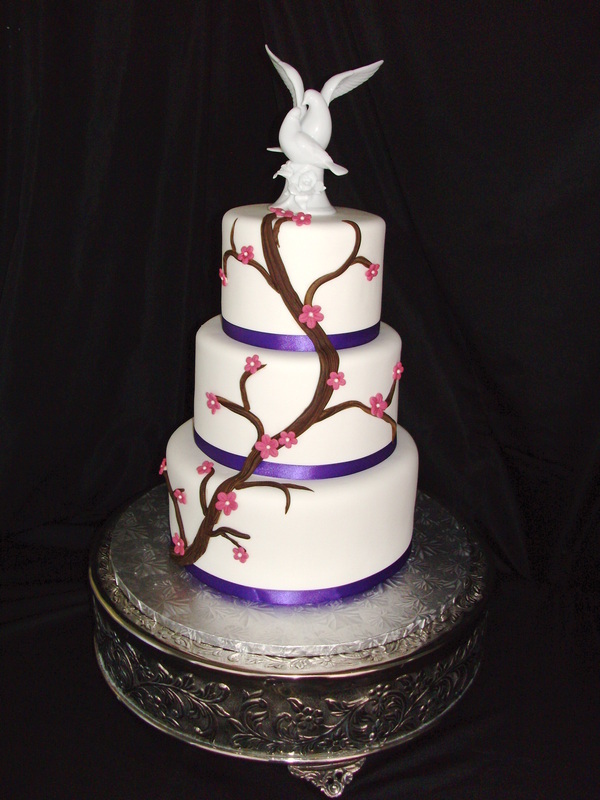 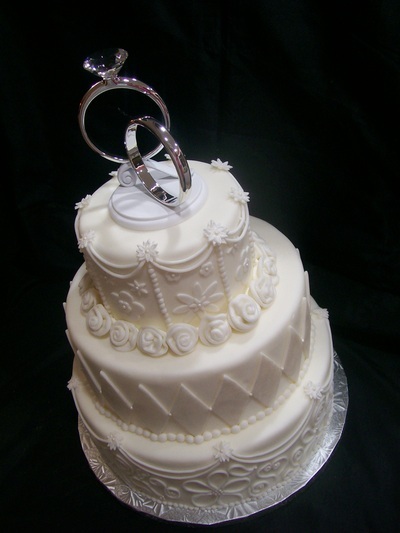 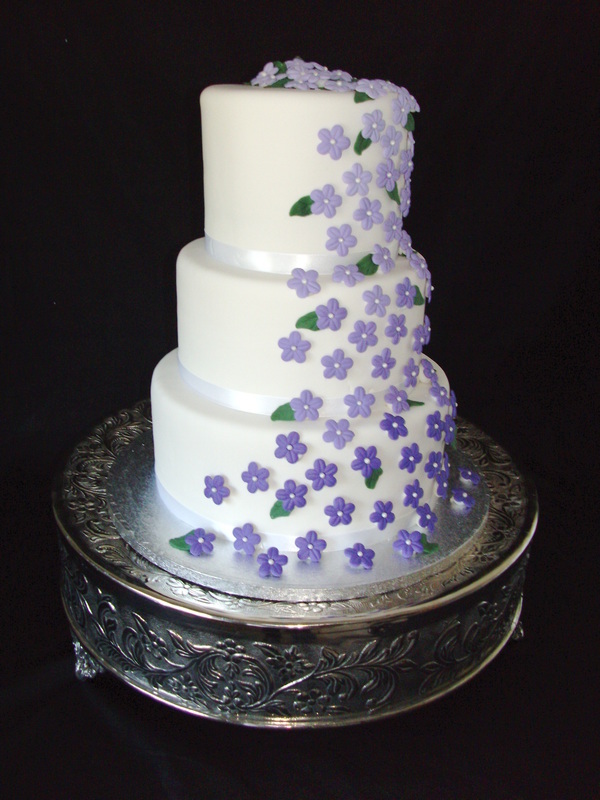 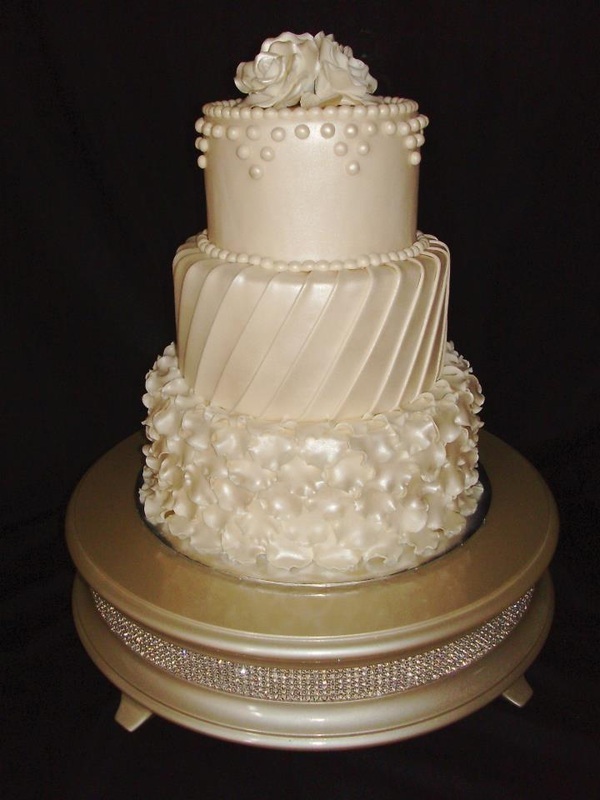 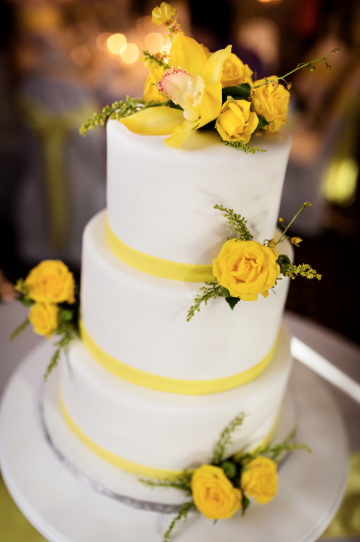 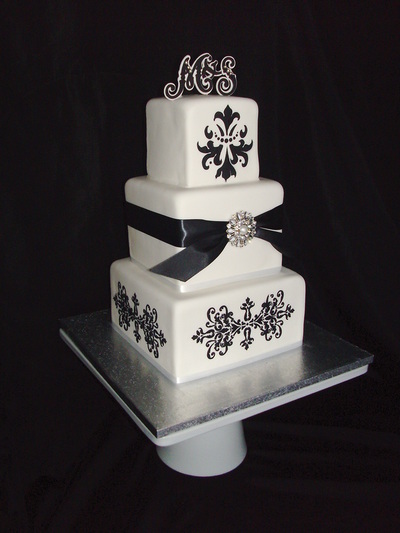 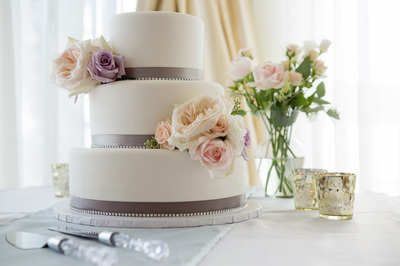 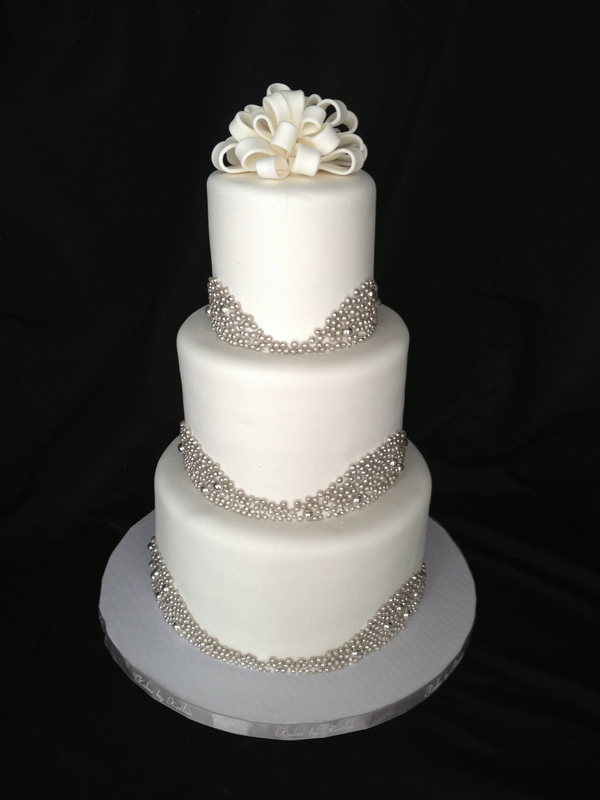 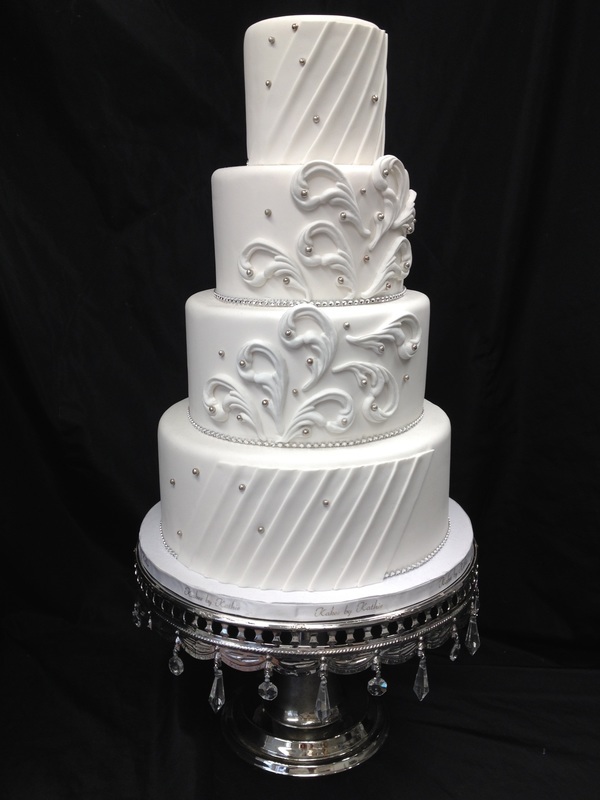 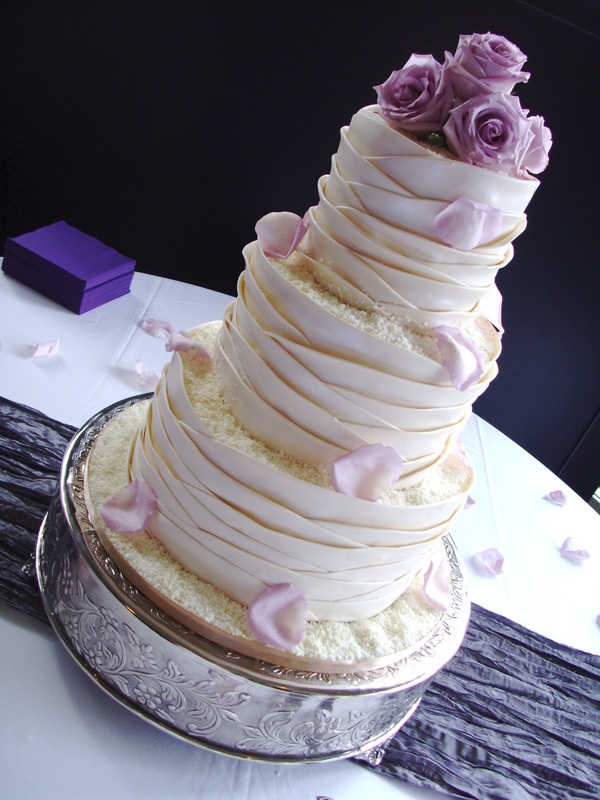 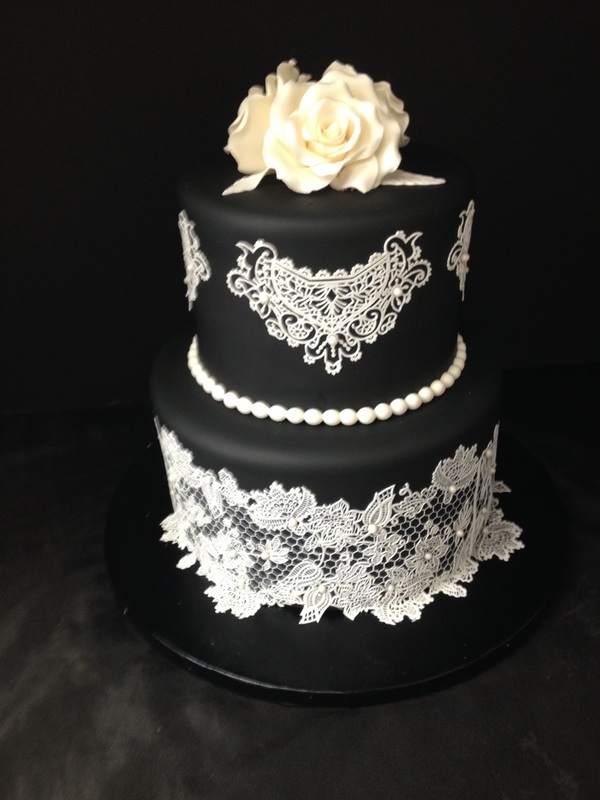 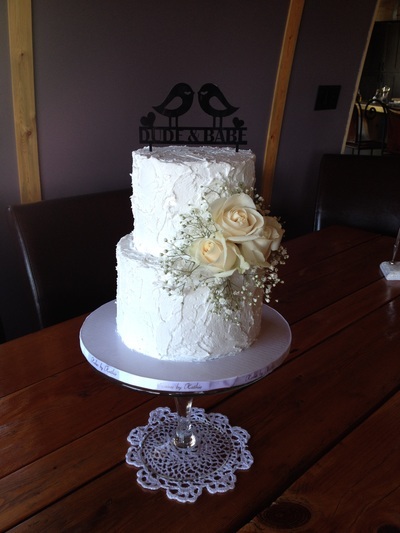 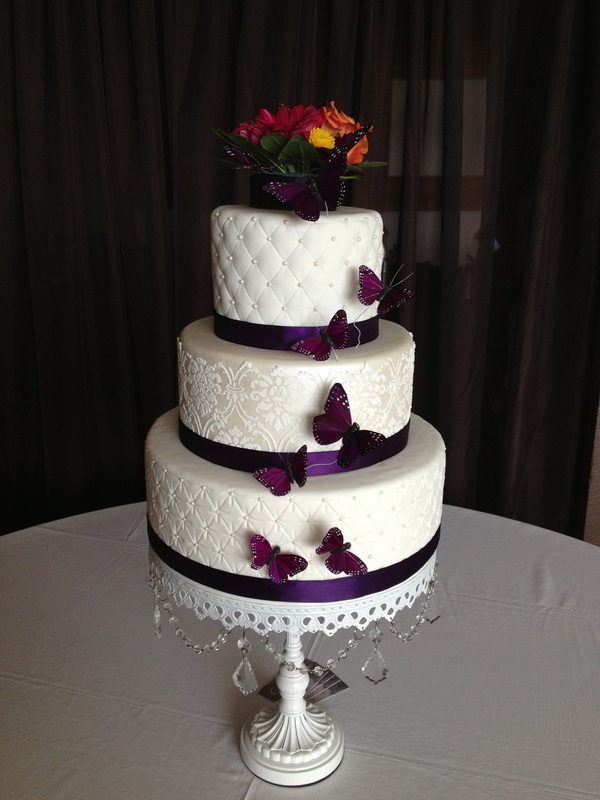 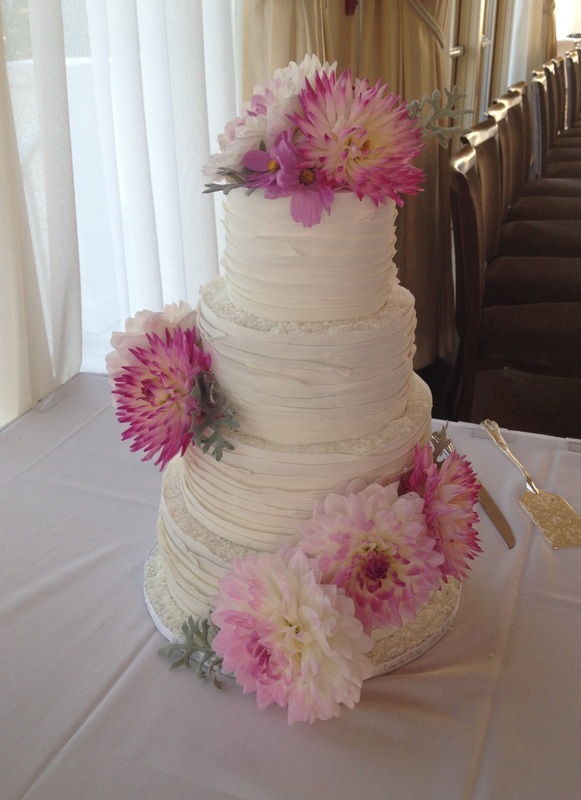 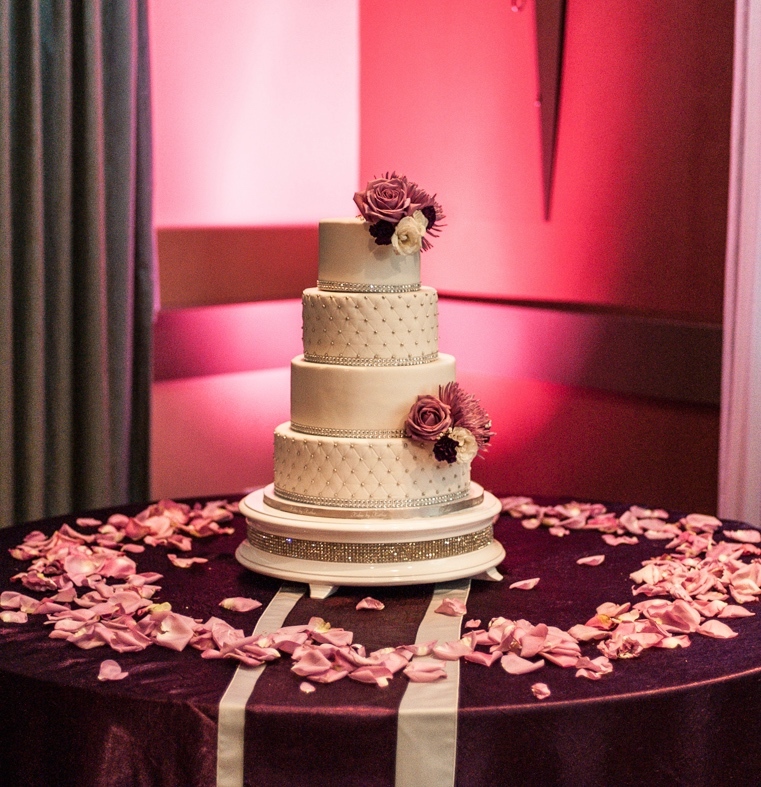 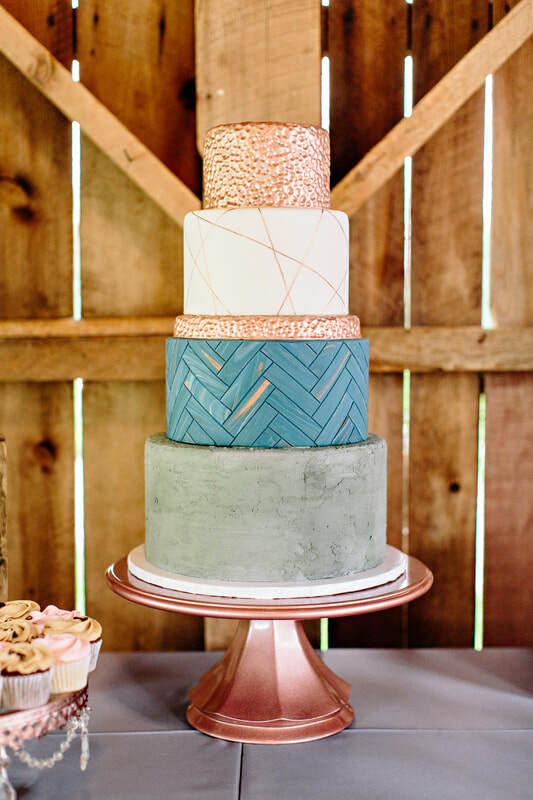 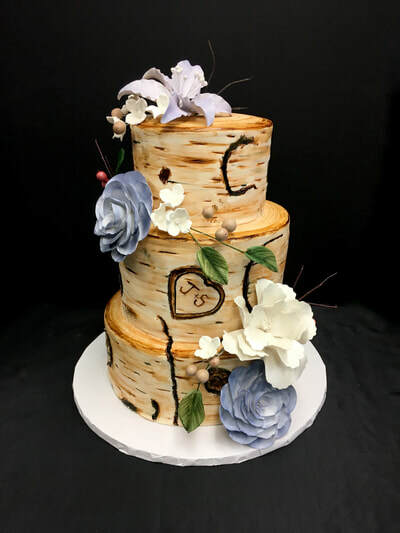 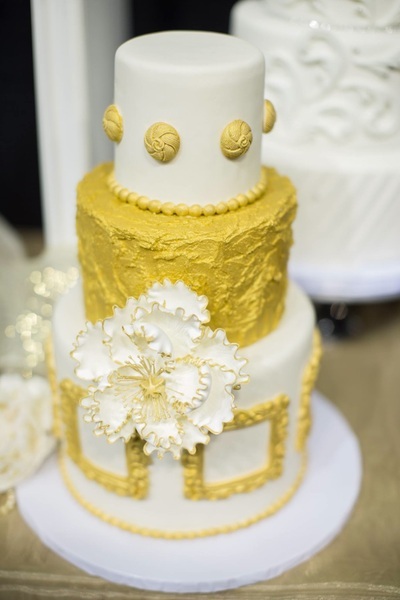 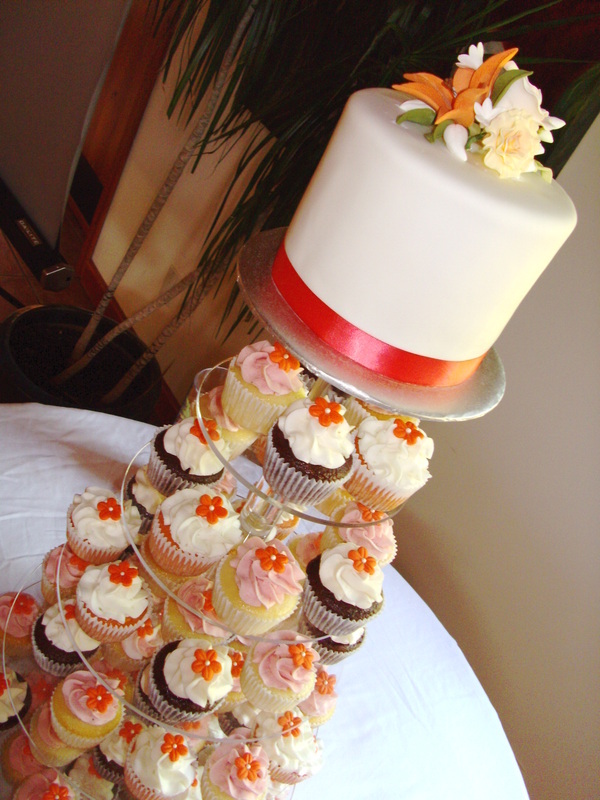 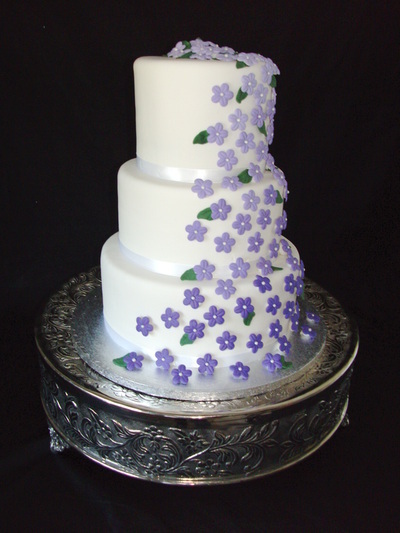 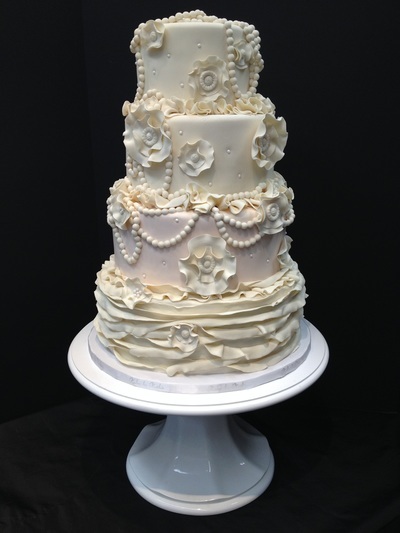 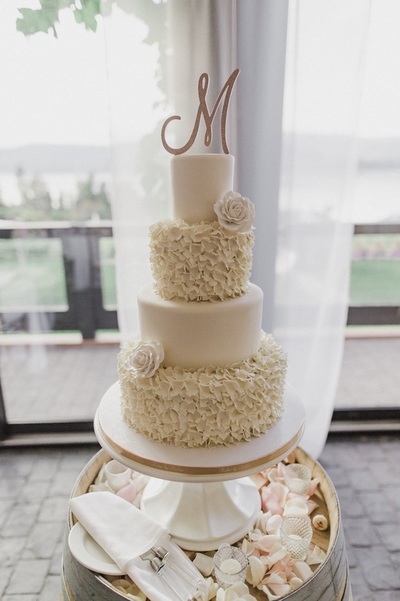 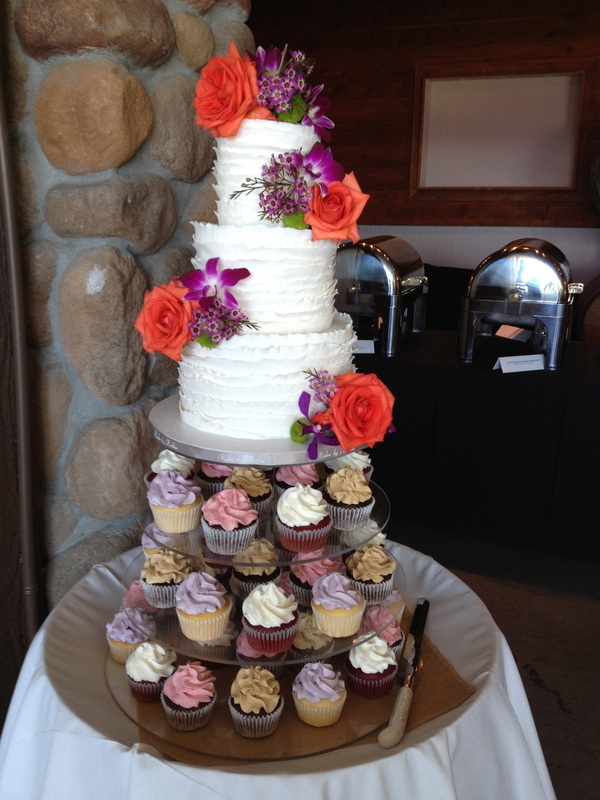 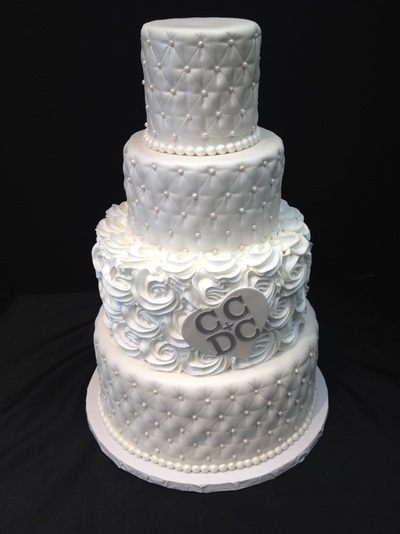 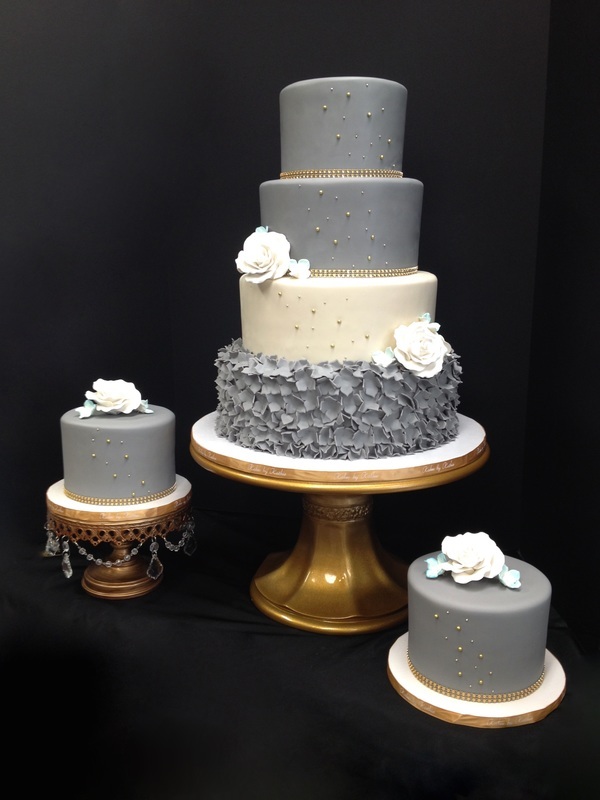 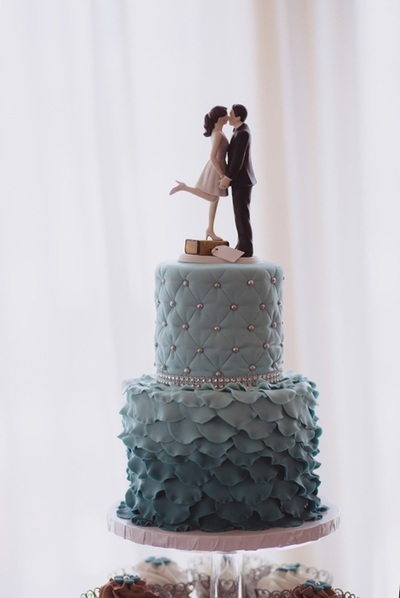 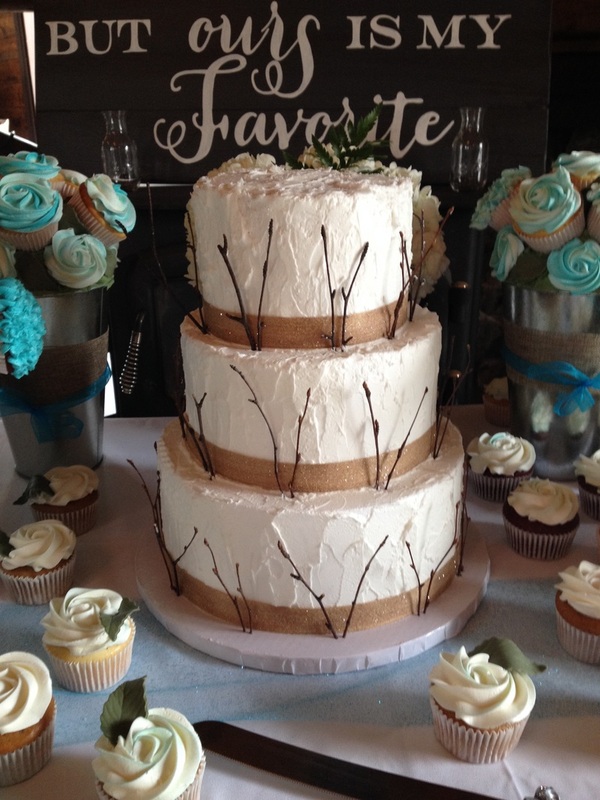 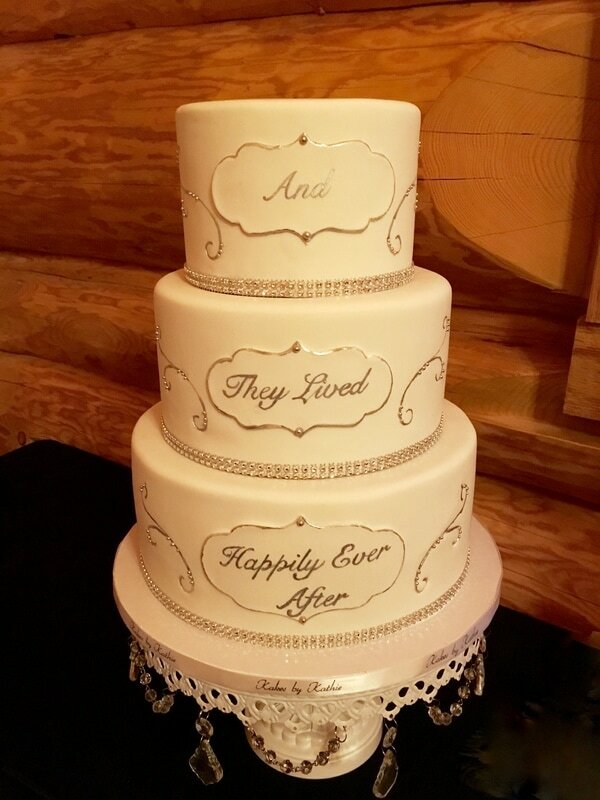 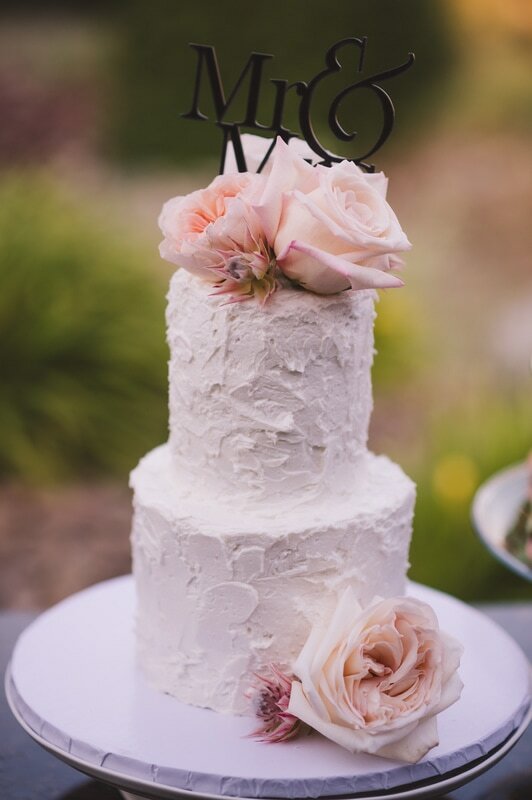 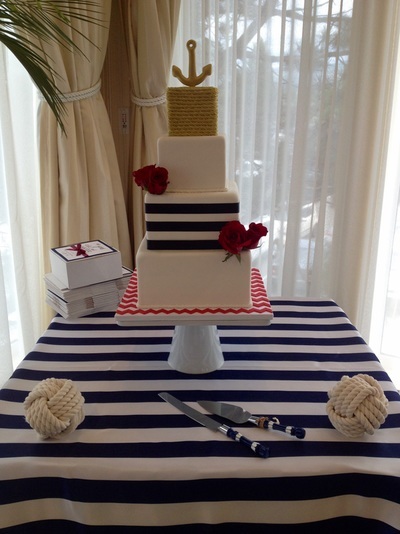 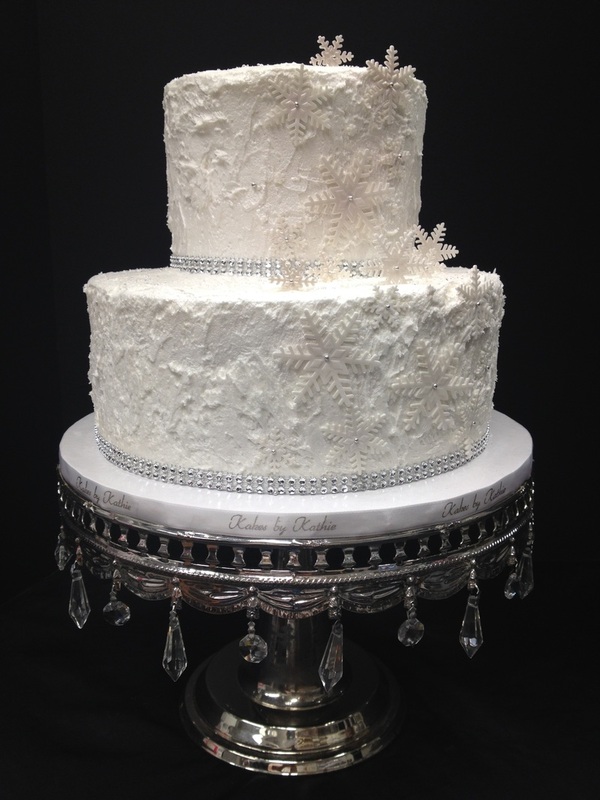 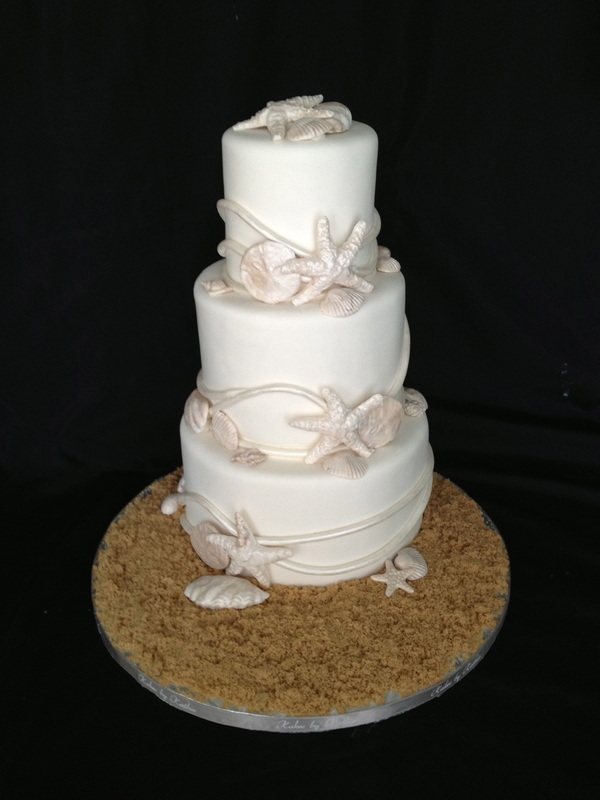 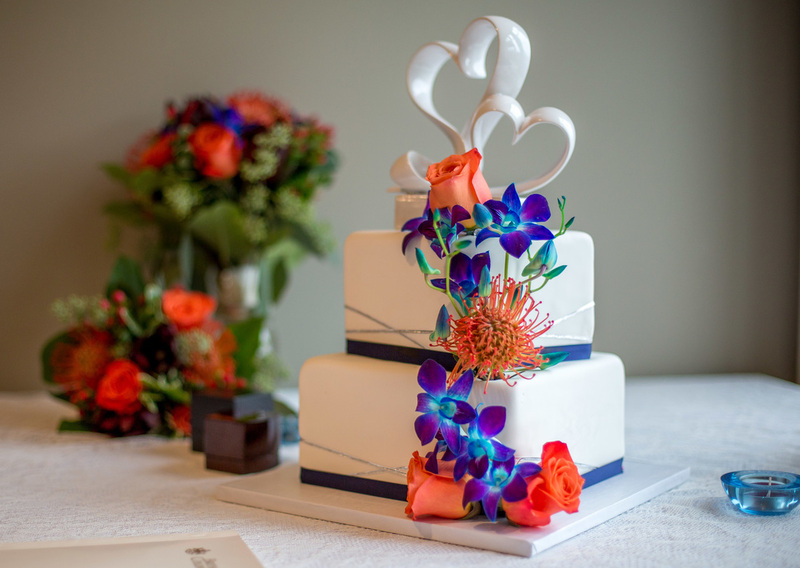 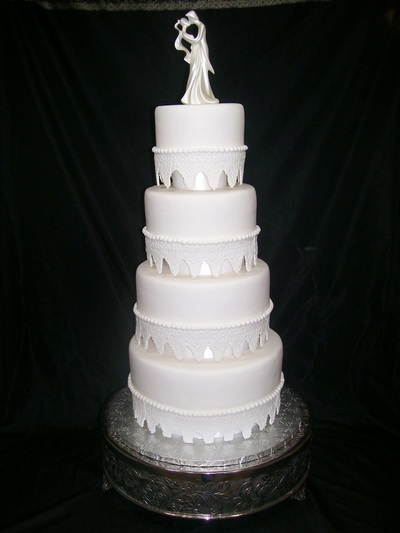 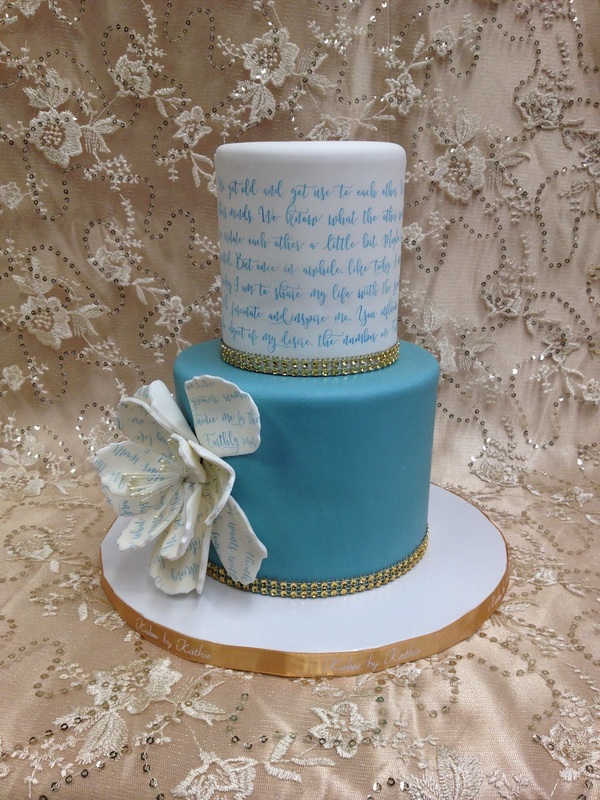 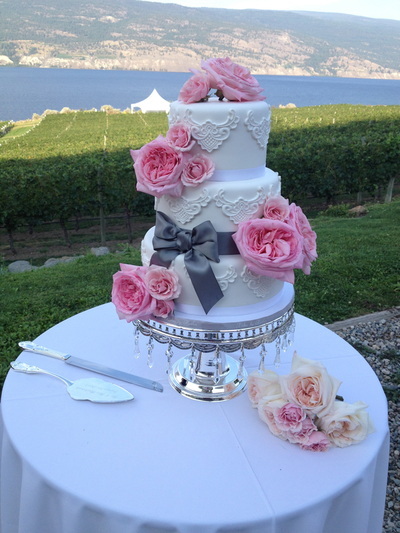 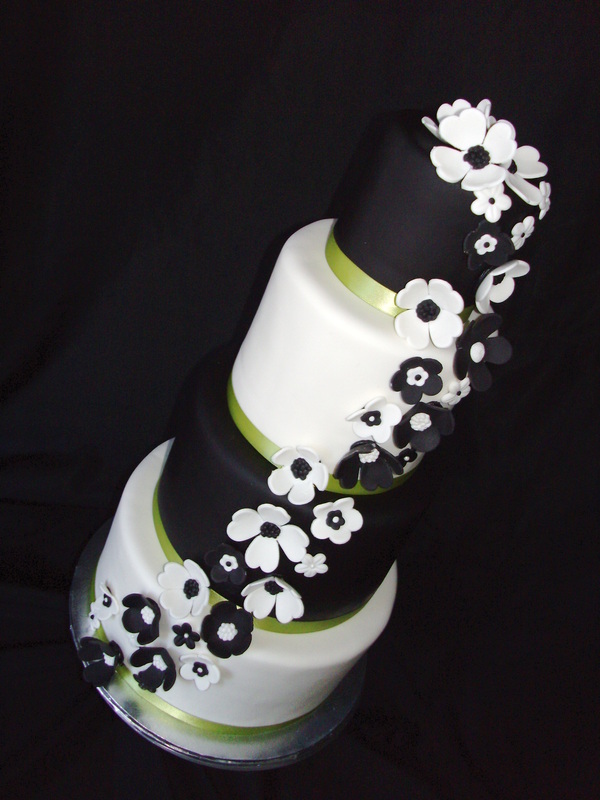 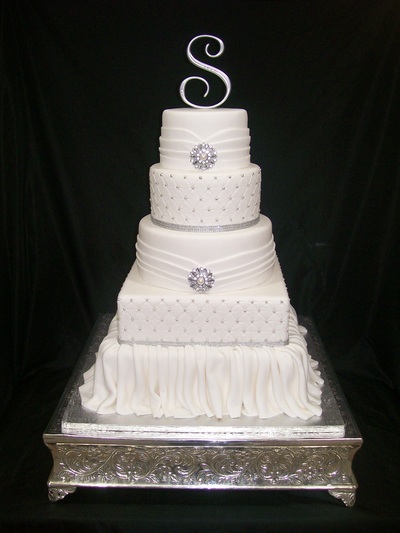 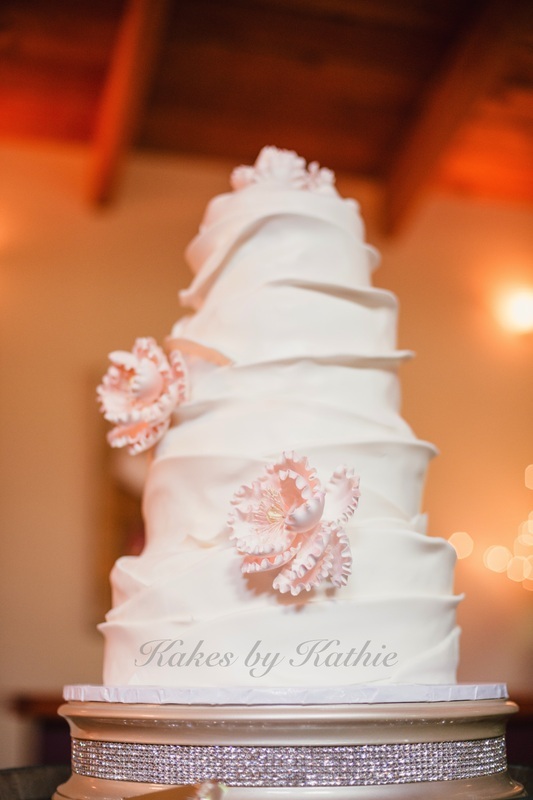 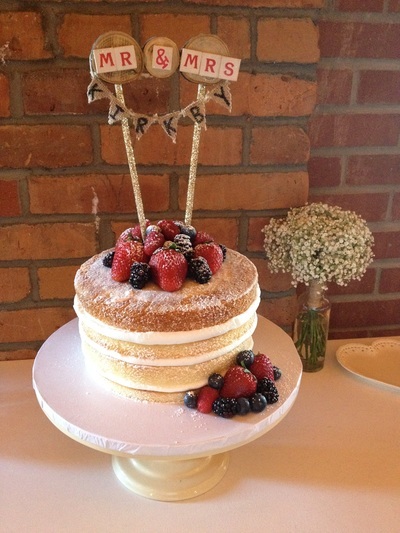 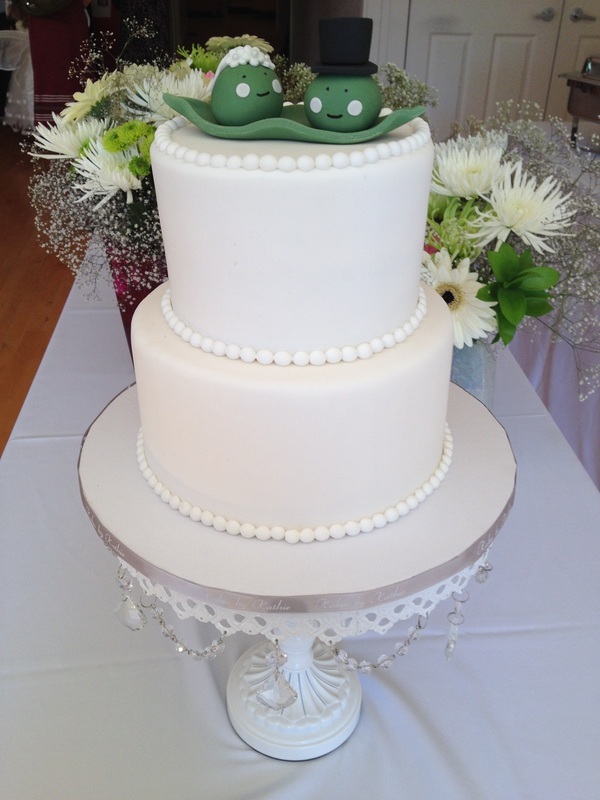 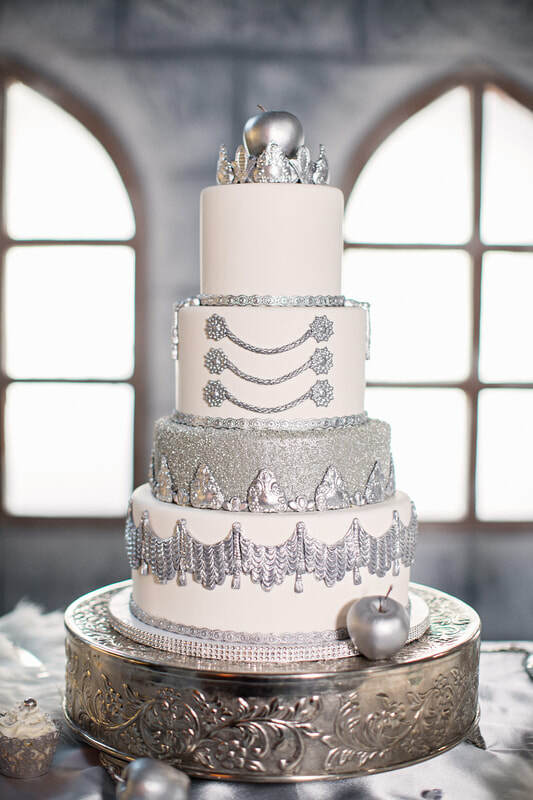 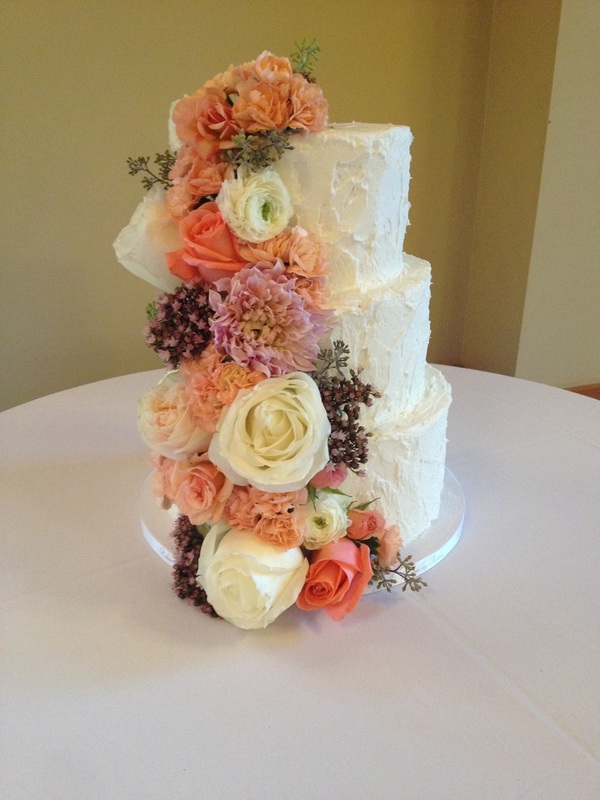 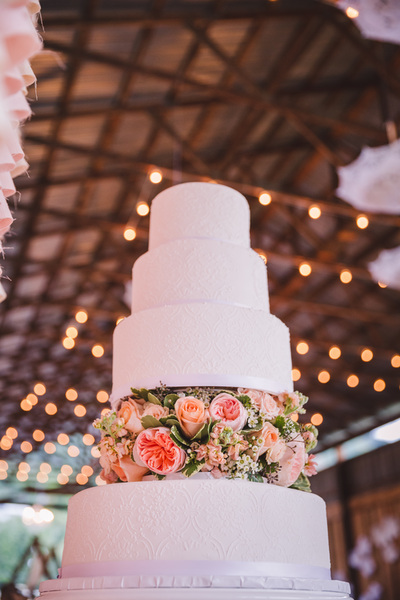 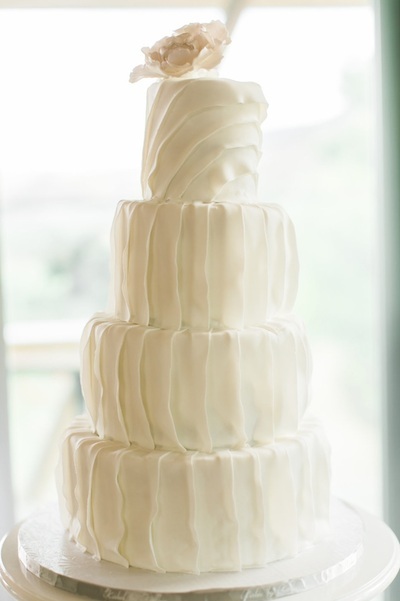 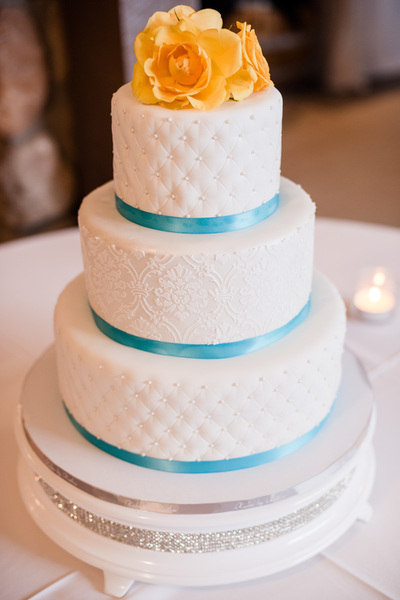 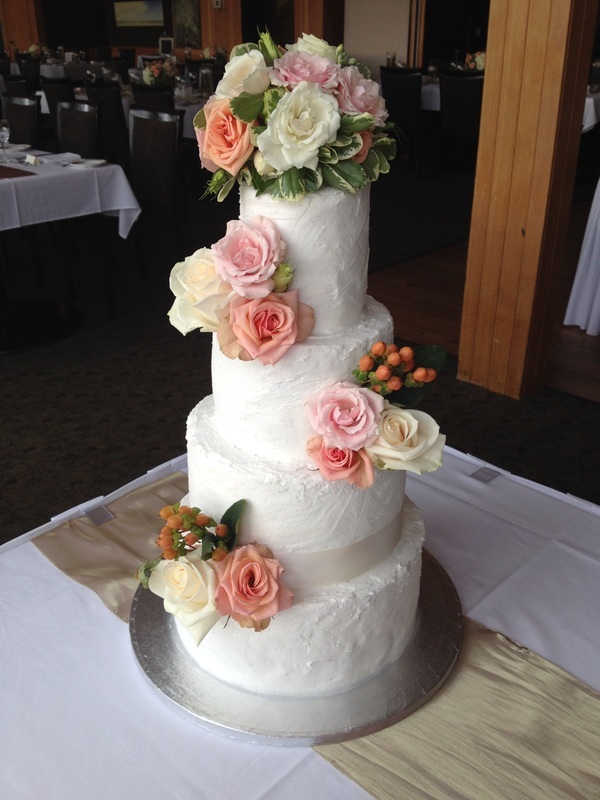 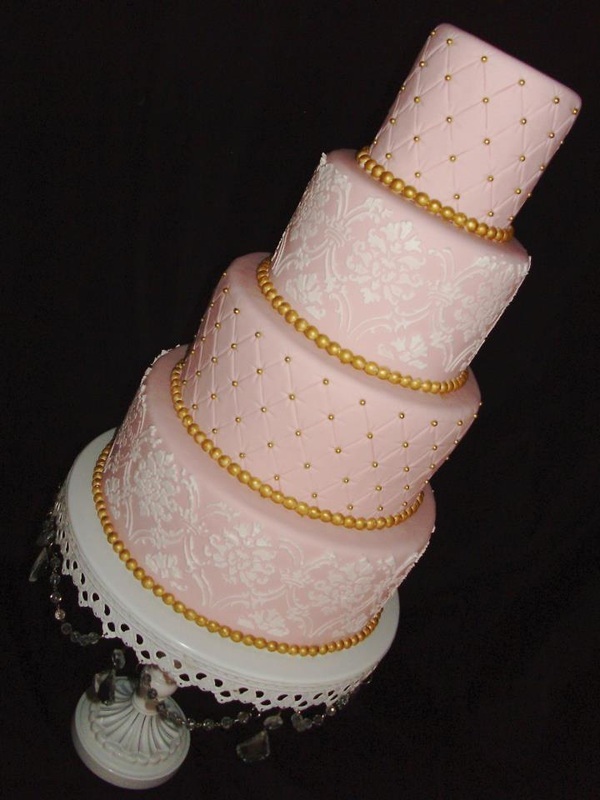 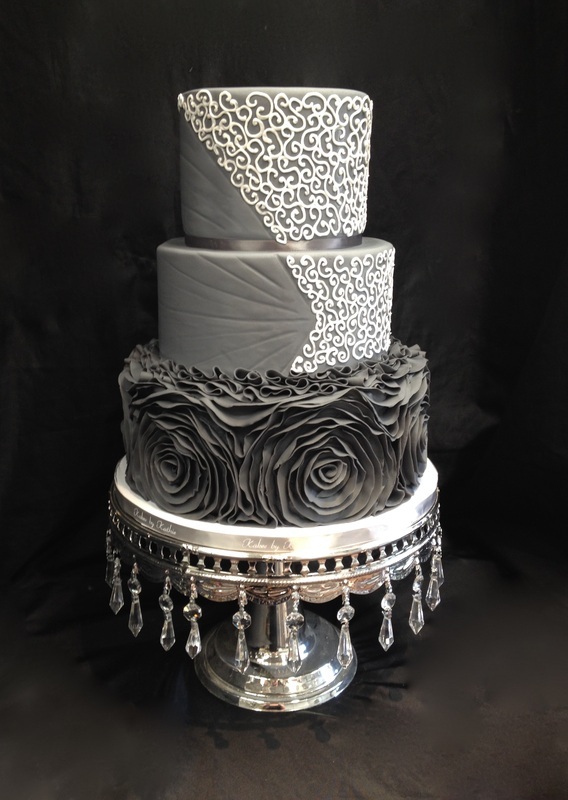 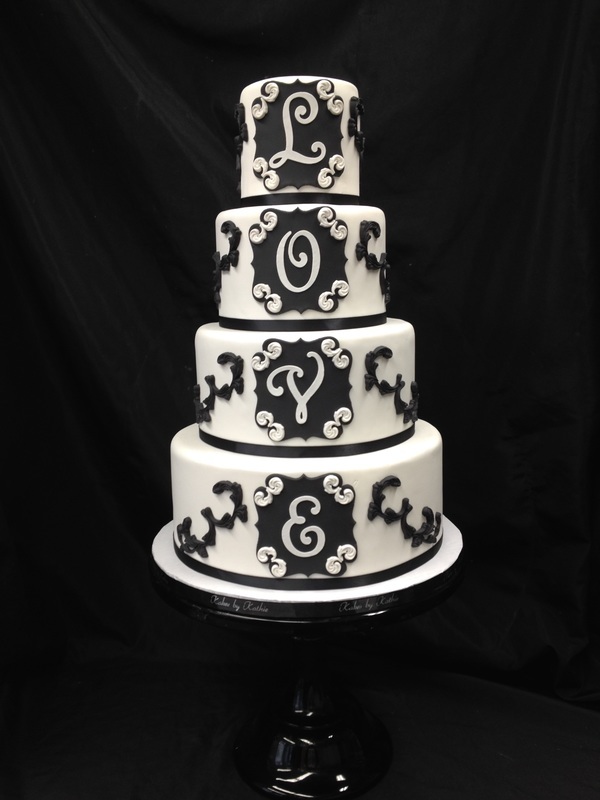 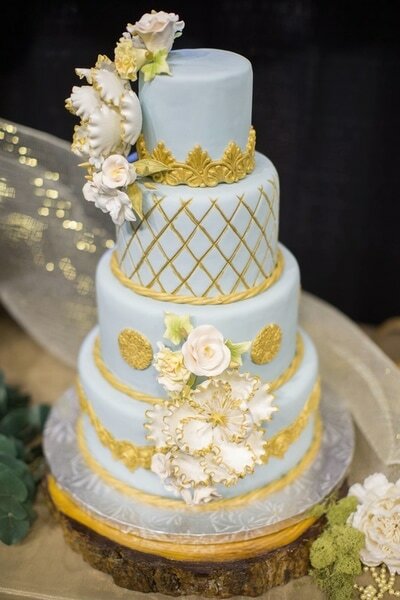 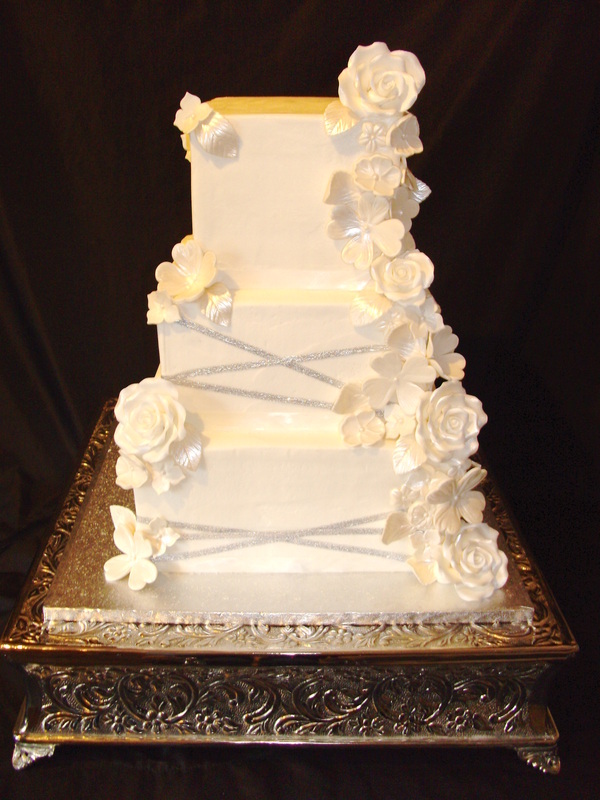 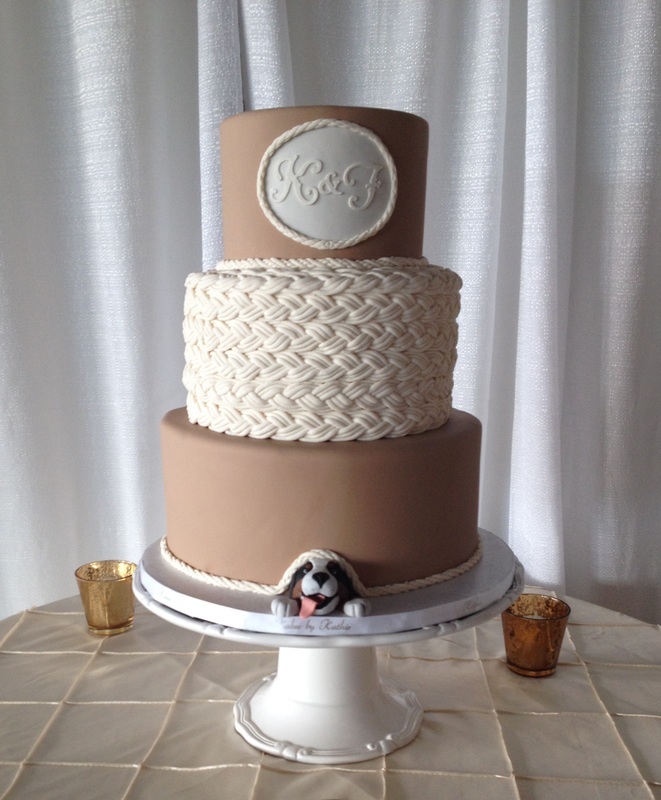 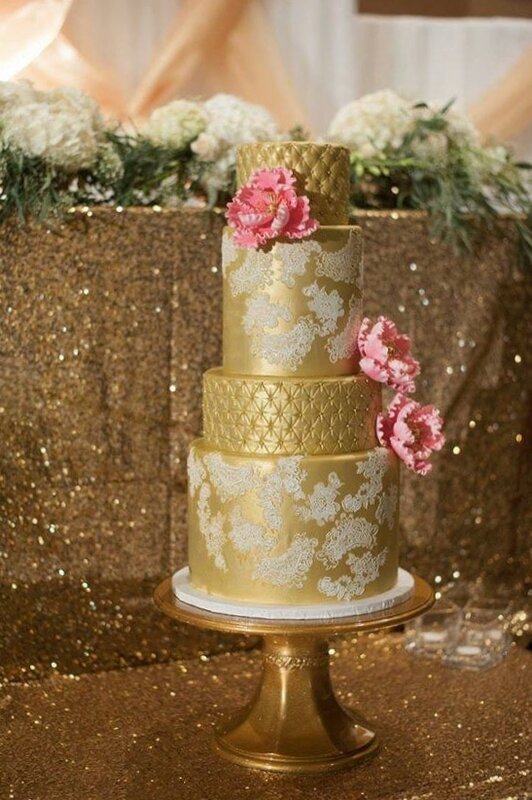 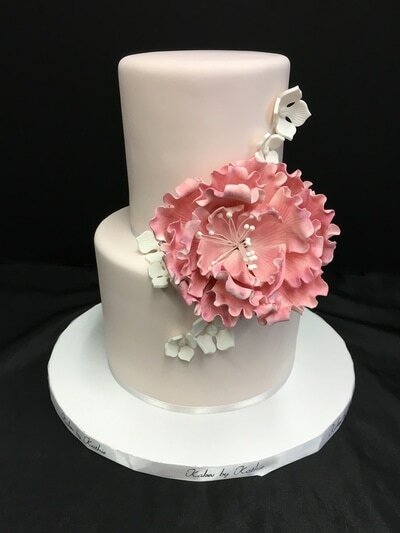 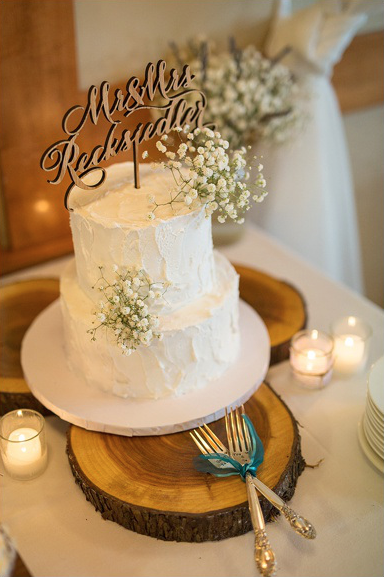 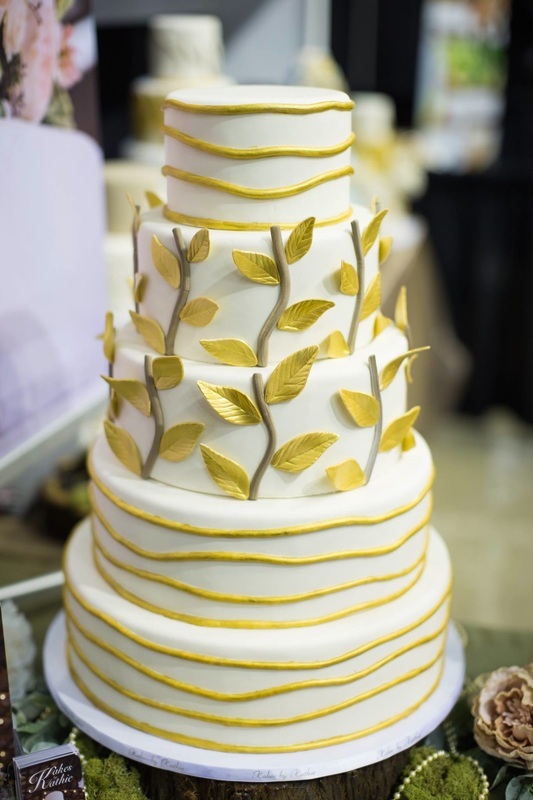 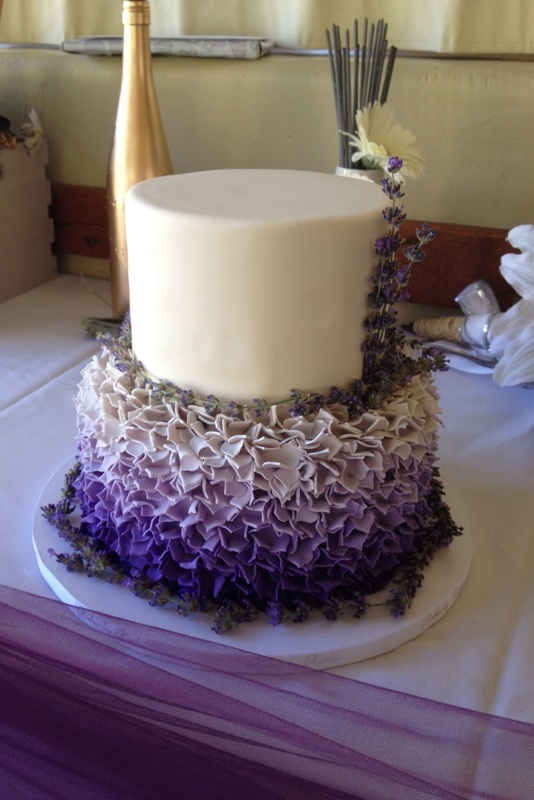 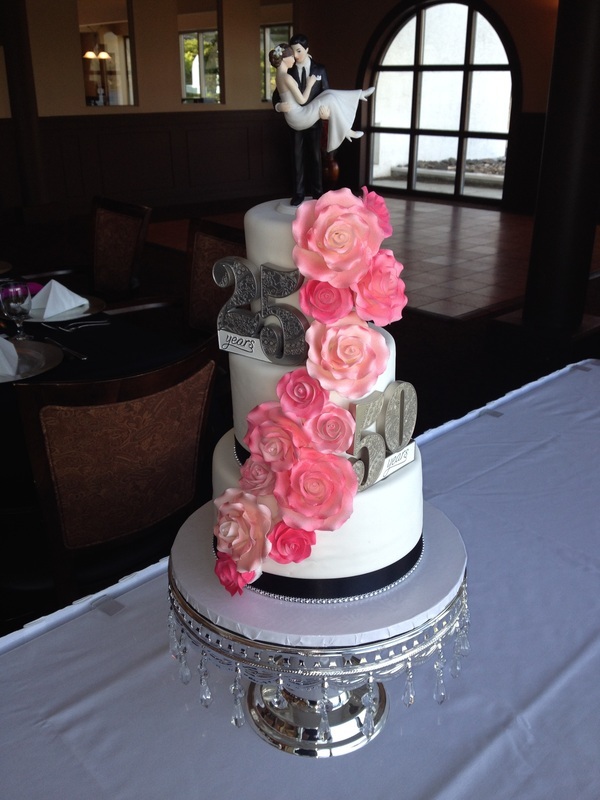 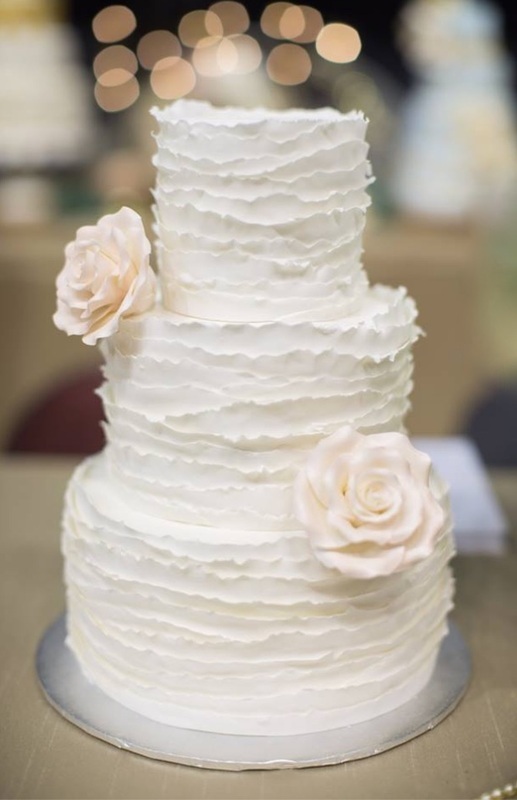 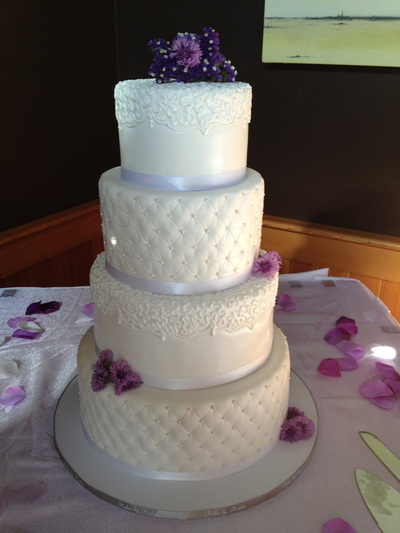 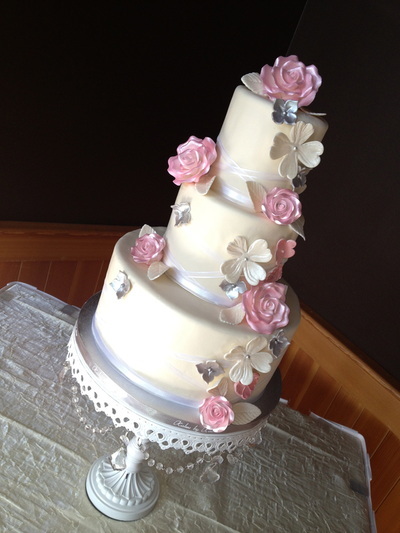 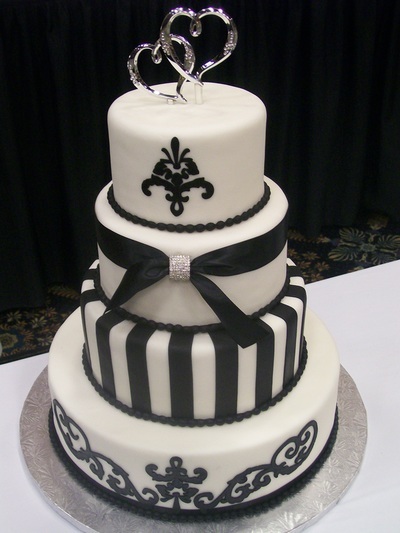 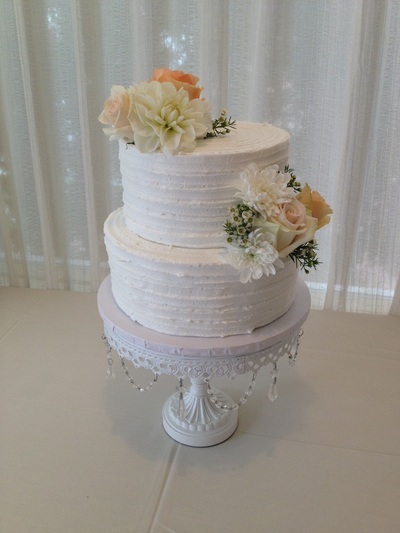 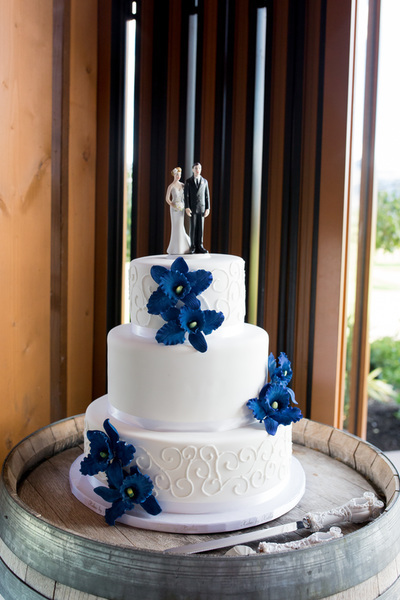 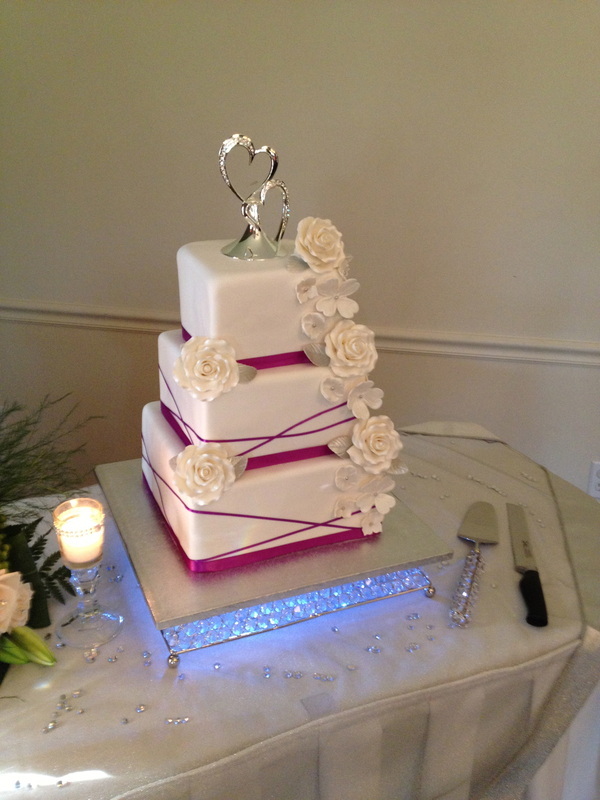 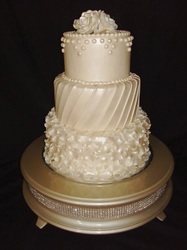 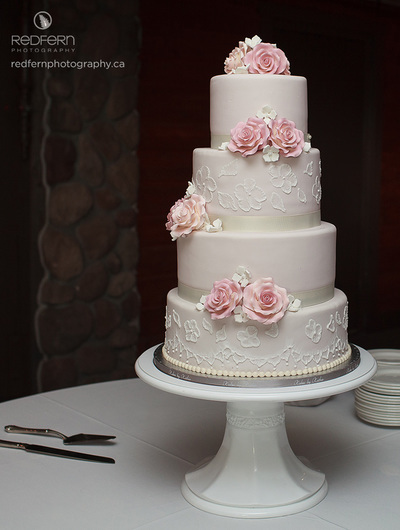 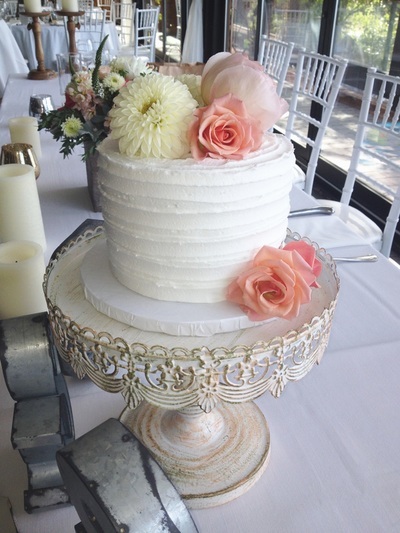 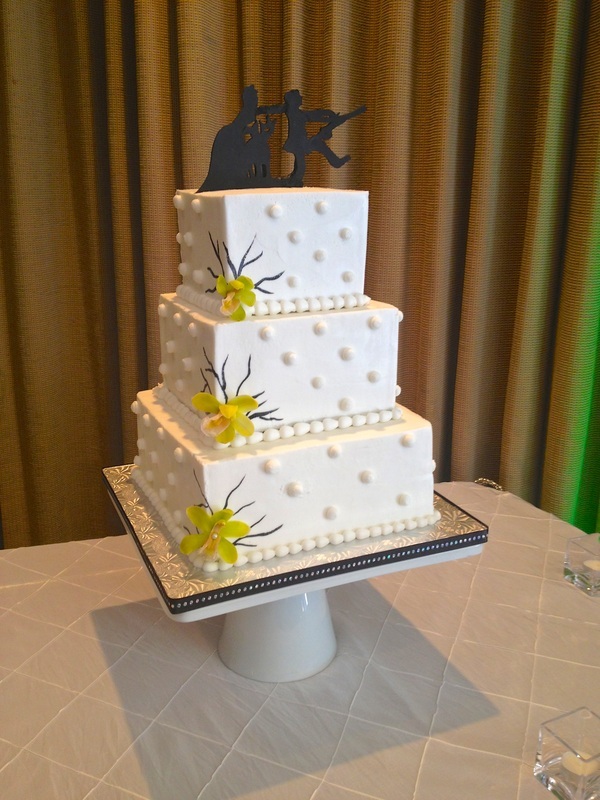 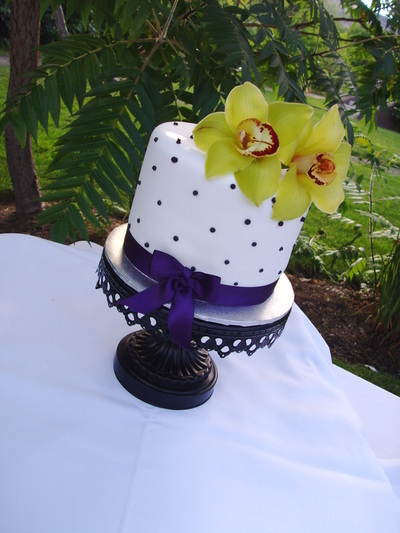 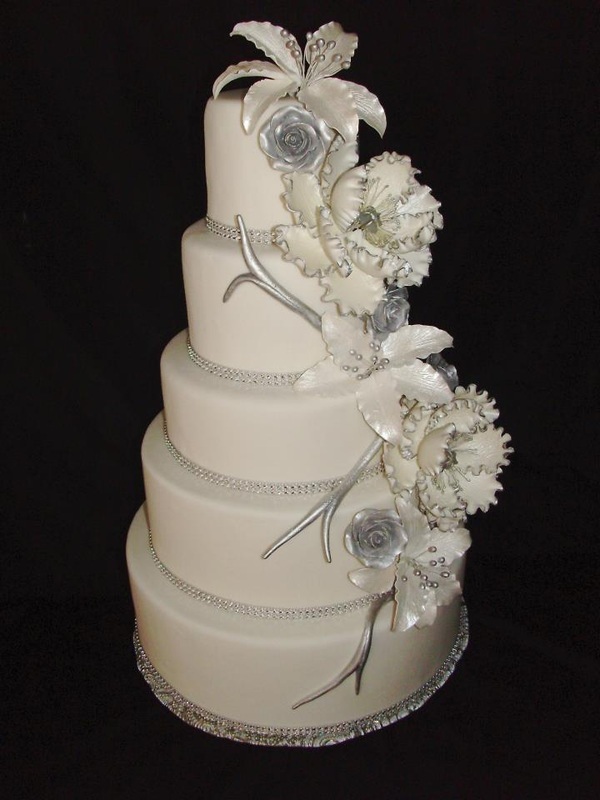 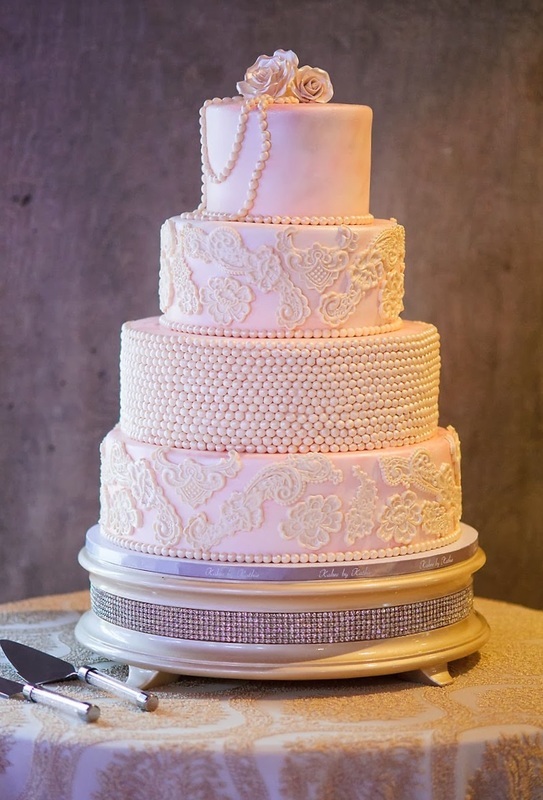 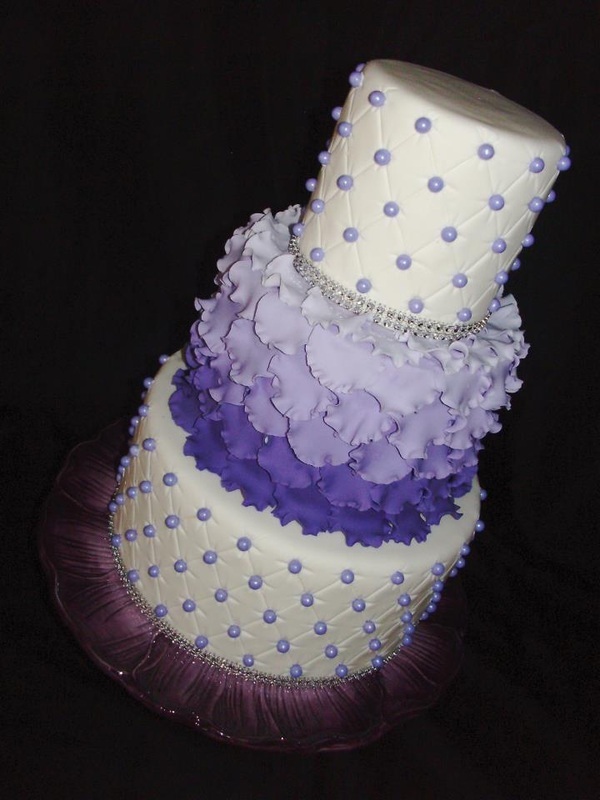 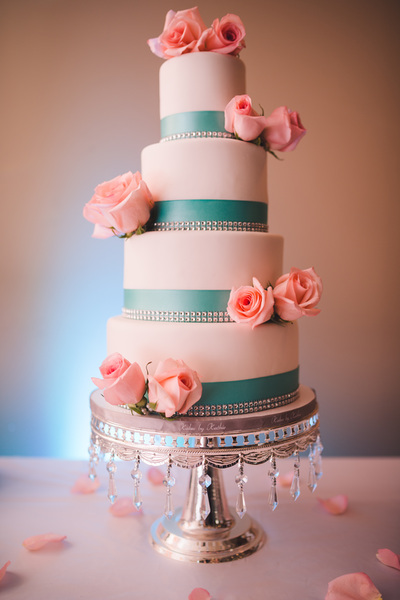 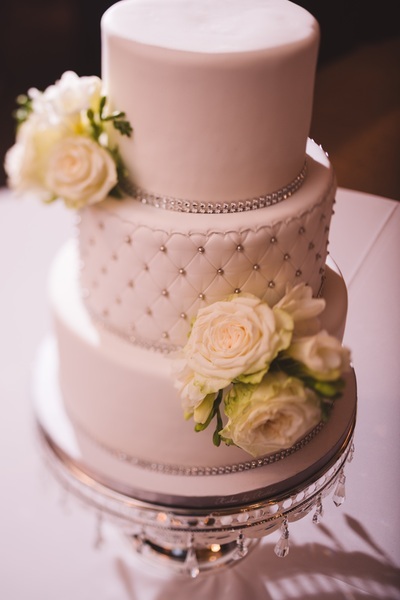 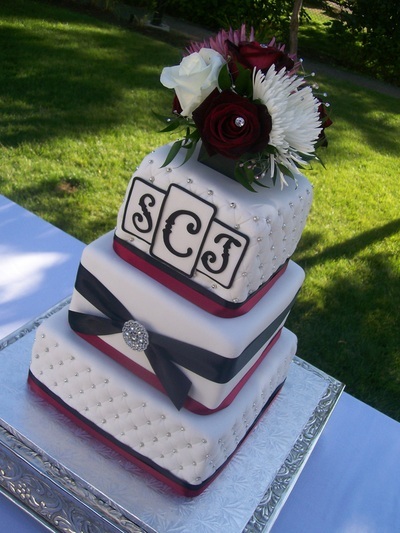 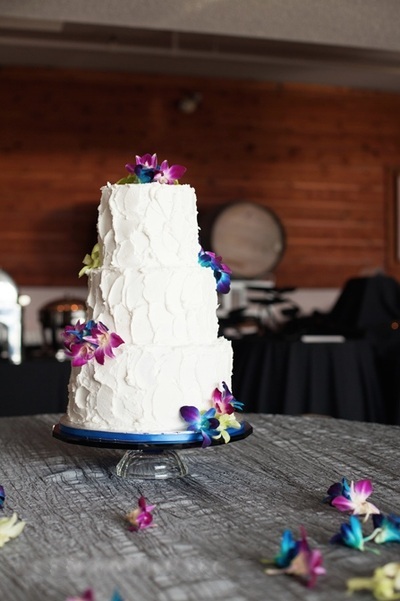 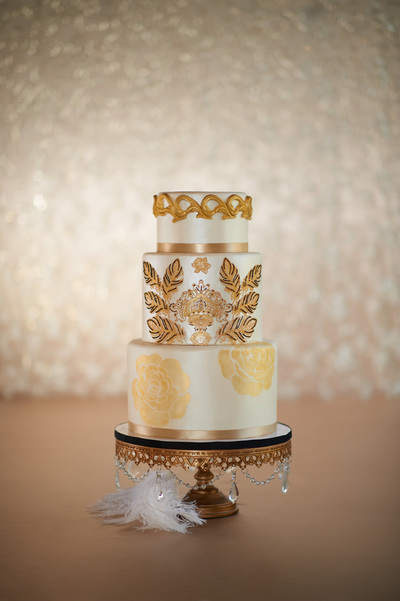 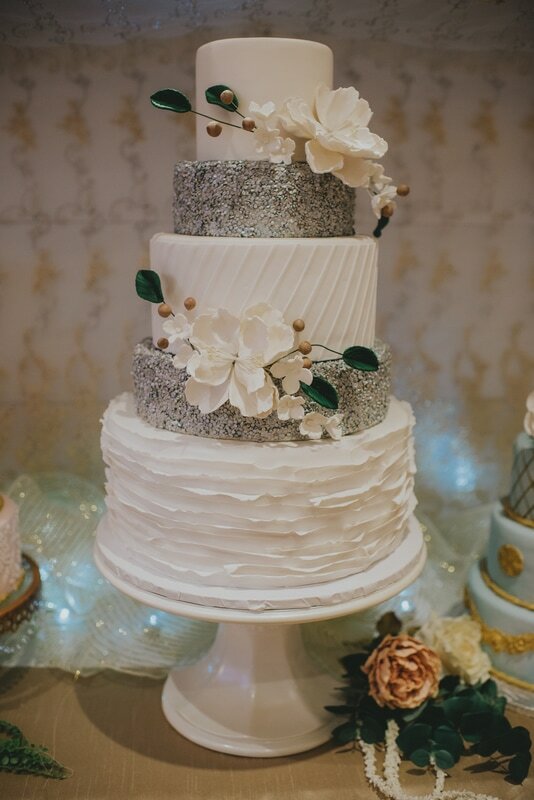 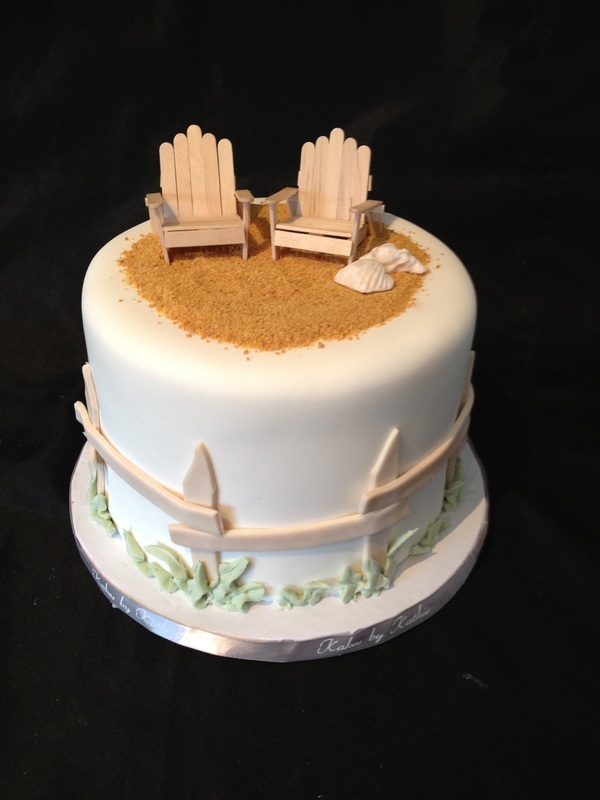 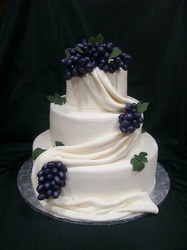 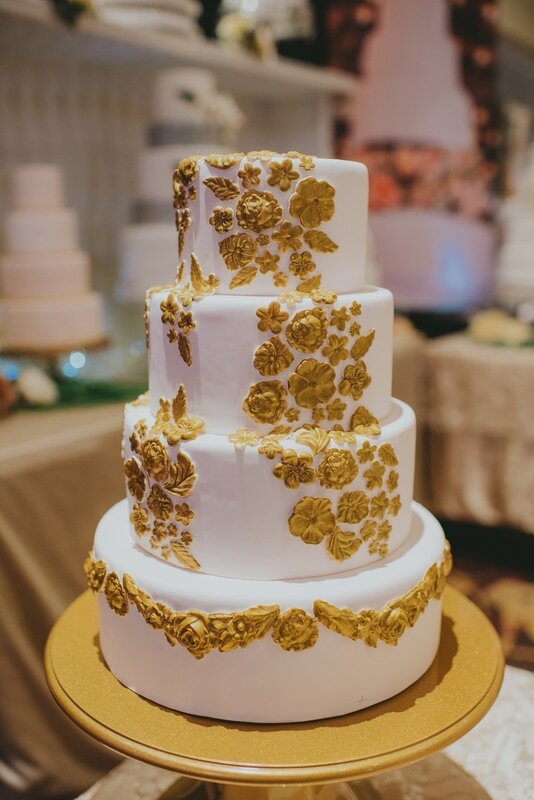 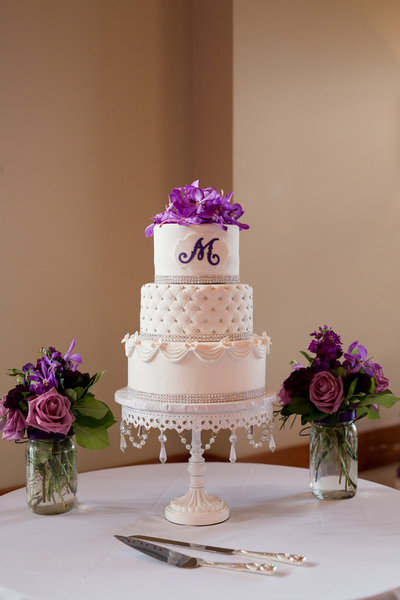 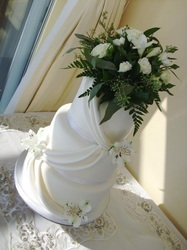 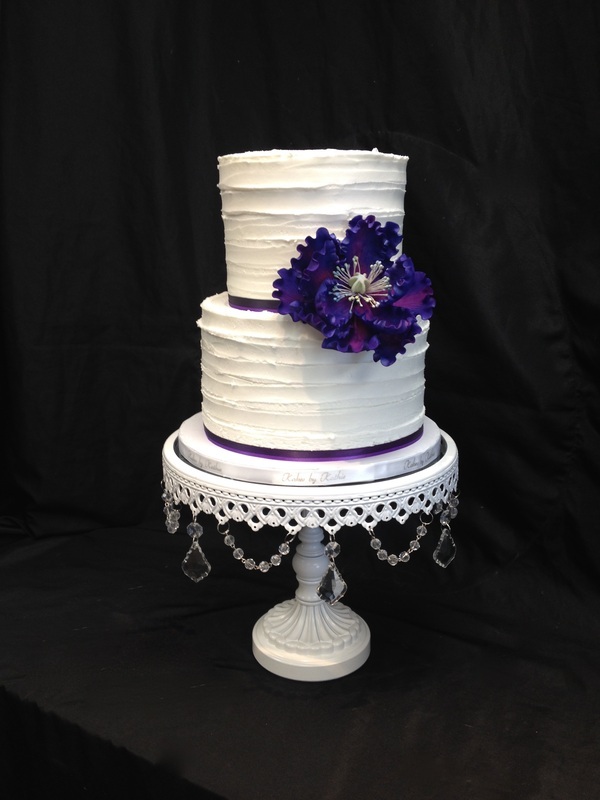 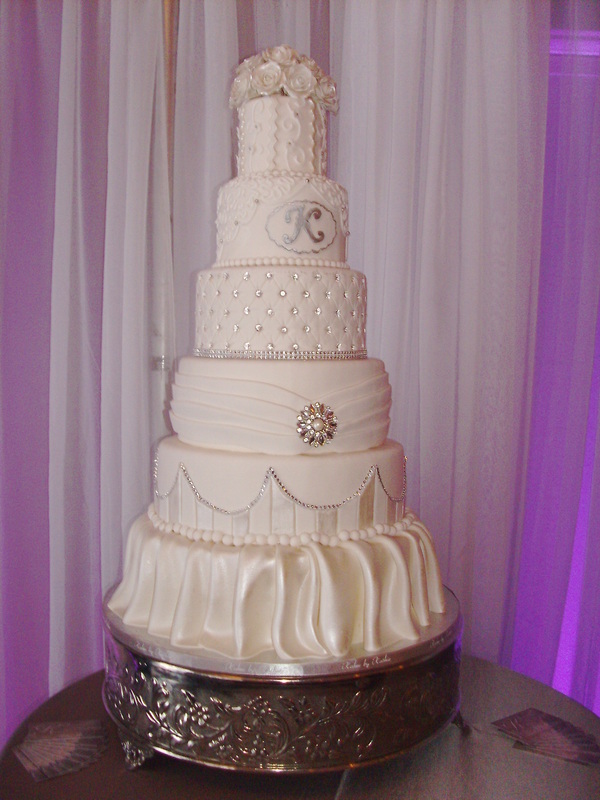 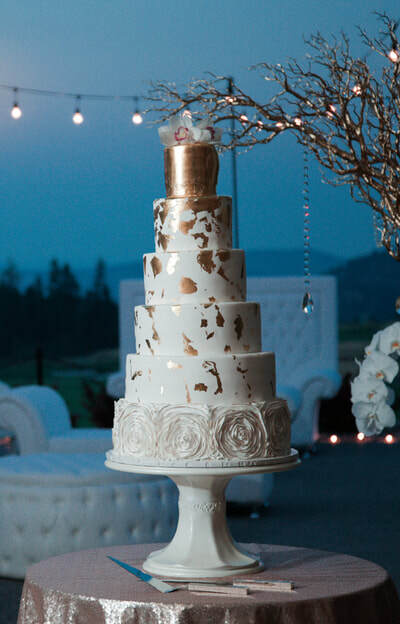 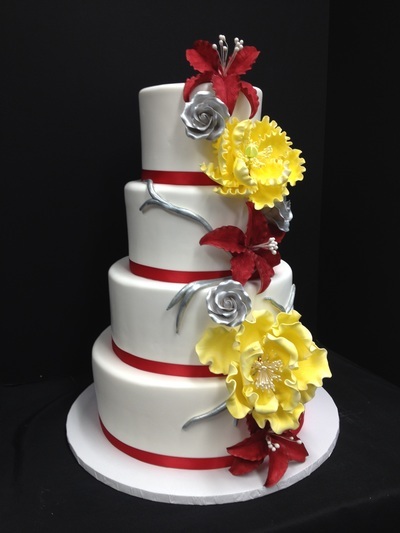 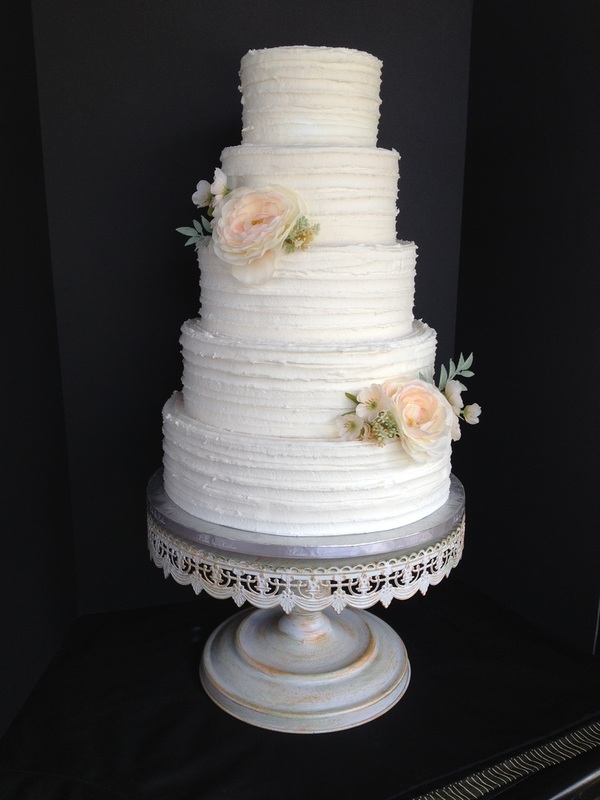 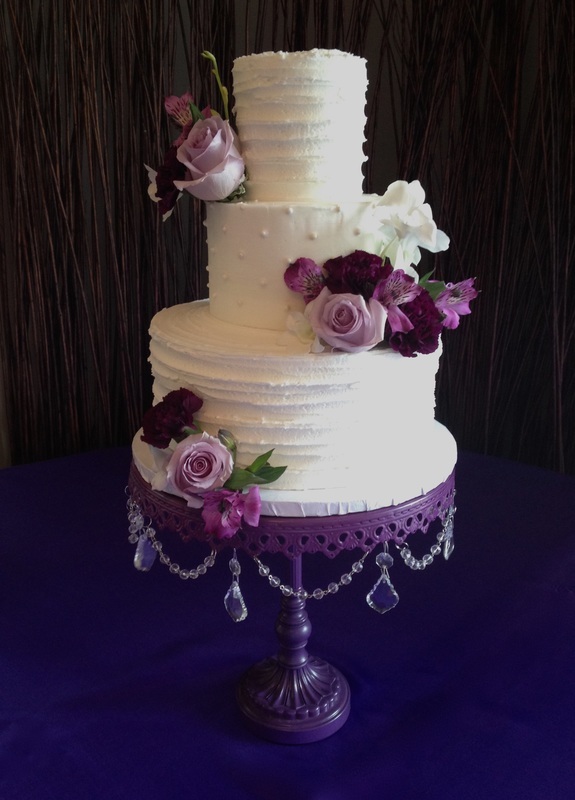 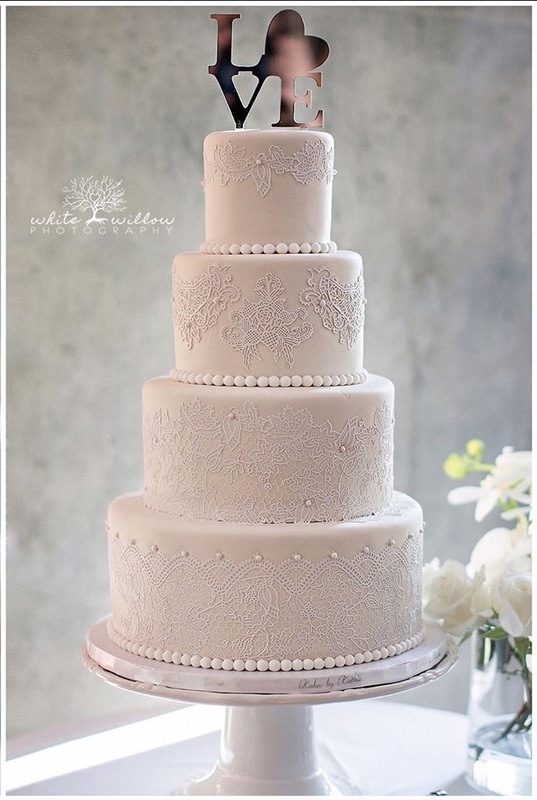 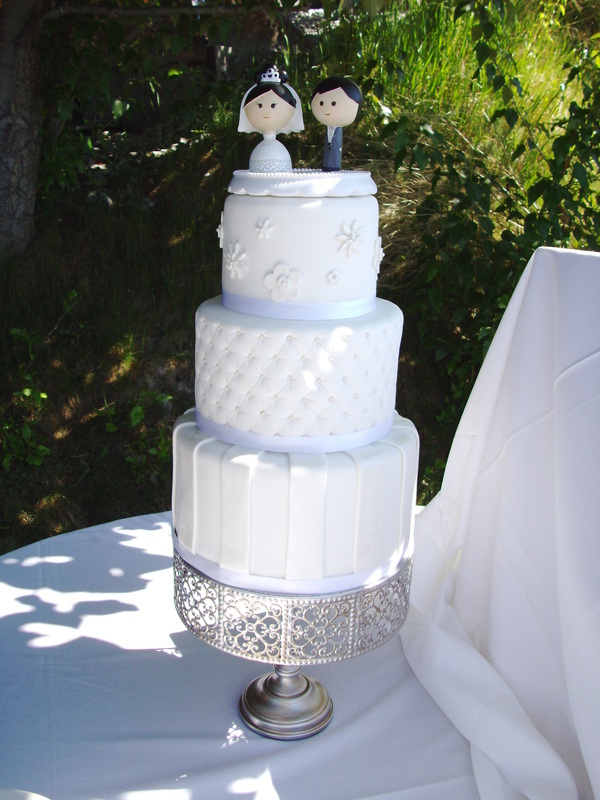 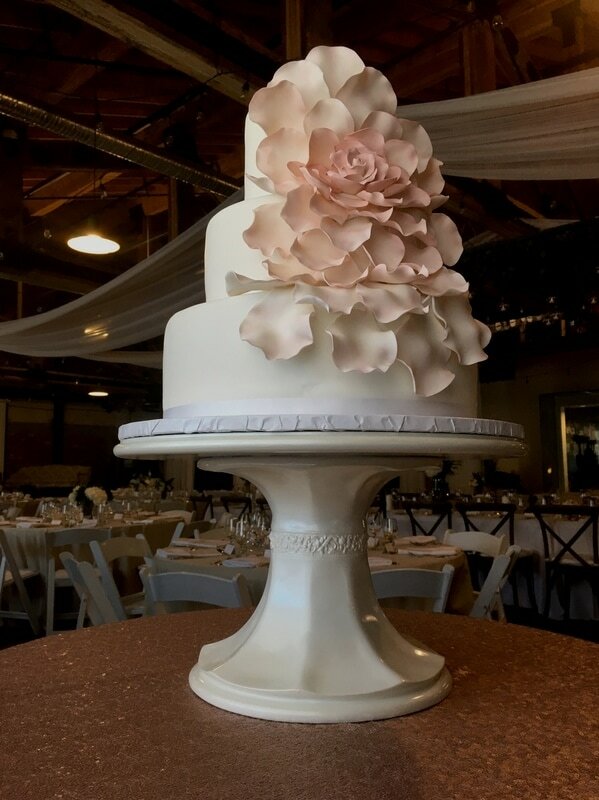 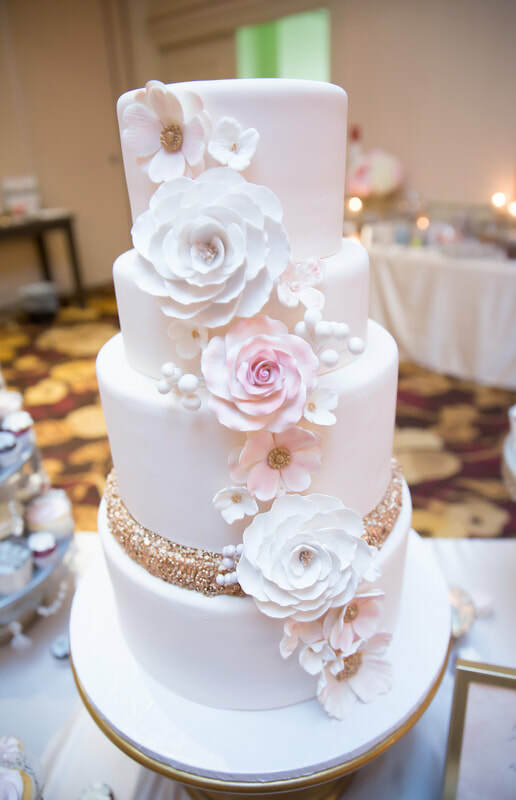 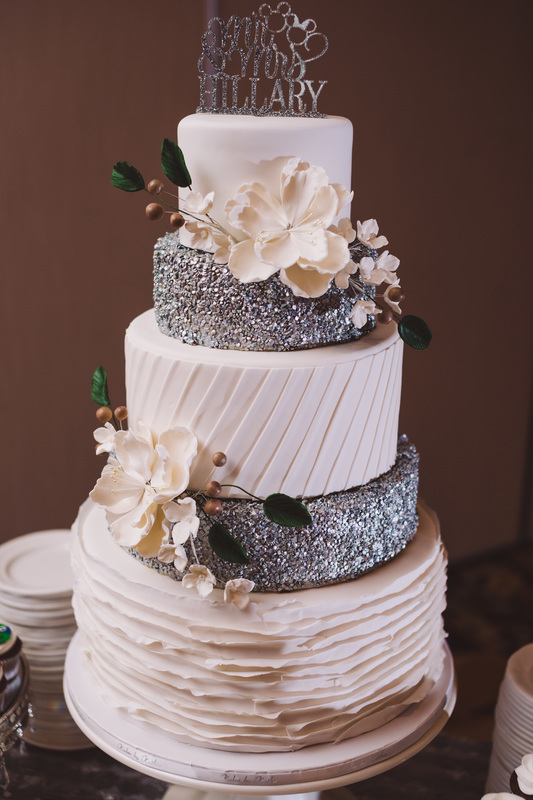 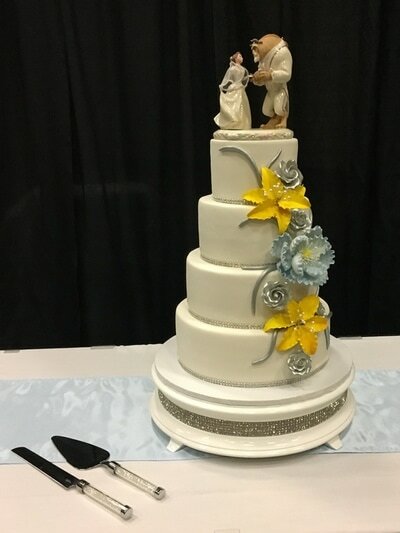 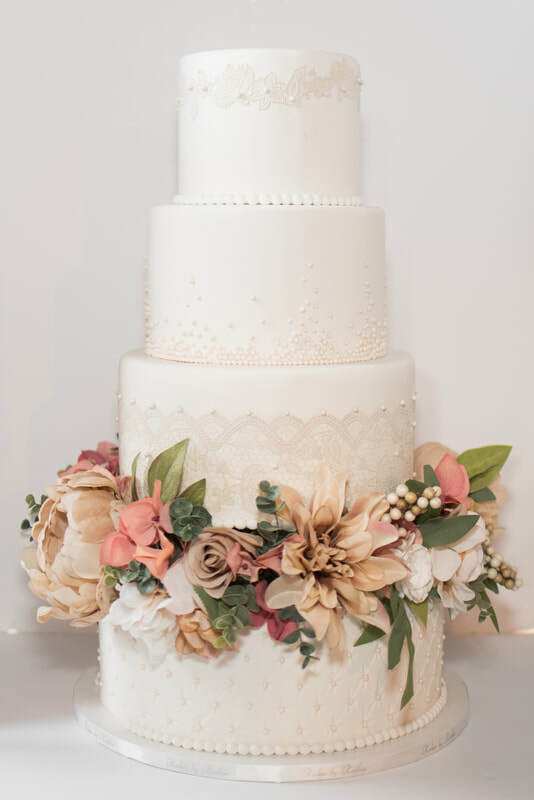 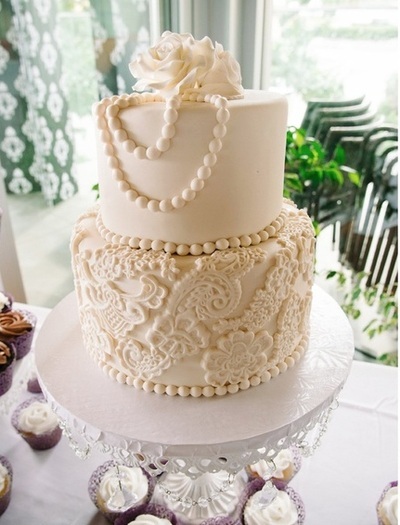 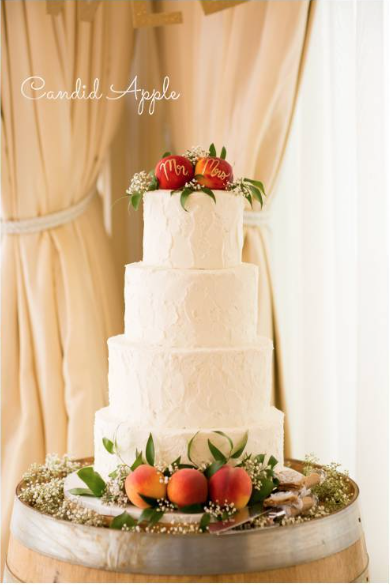 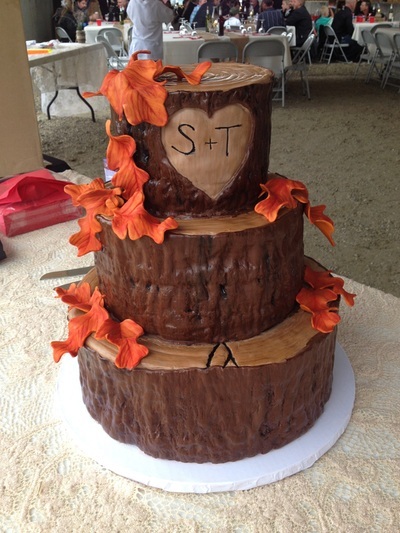 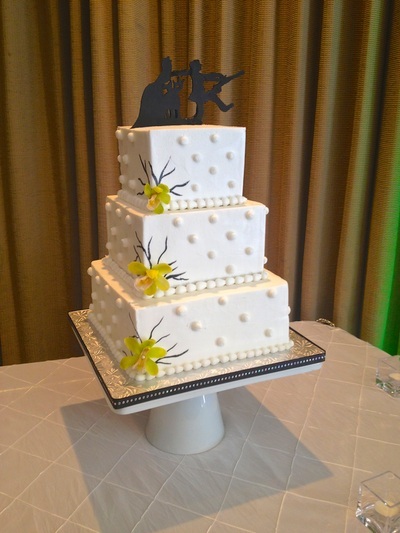 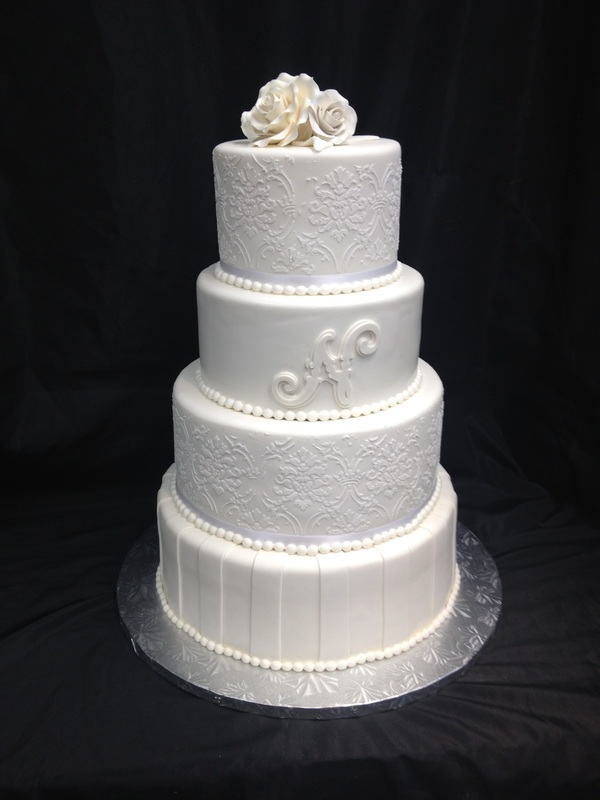 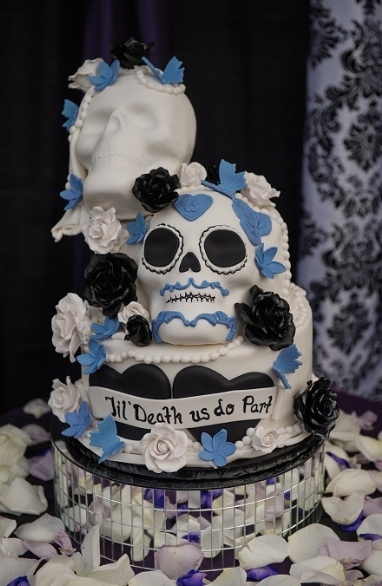 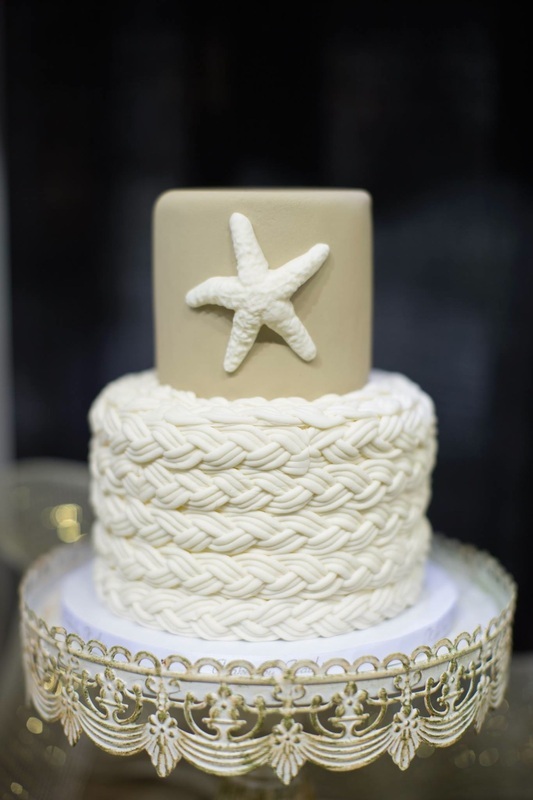 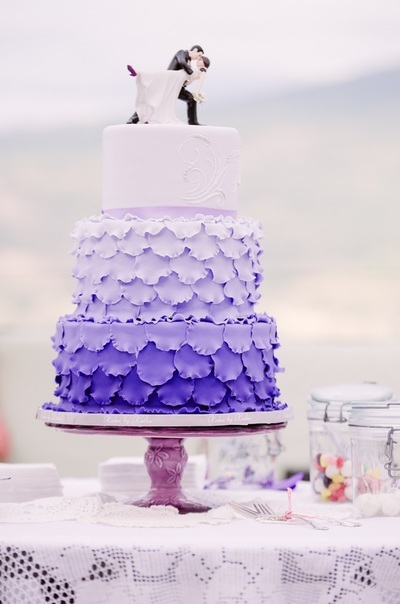 The top tier was the signature pattern of the brides grandmother.